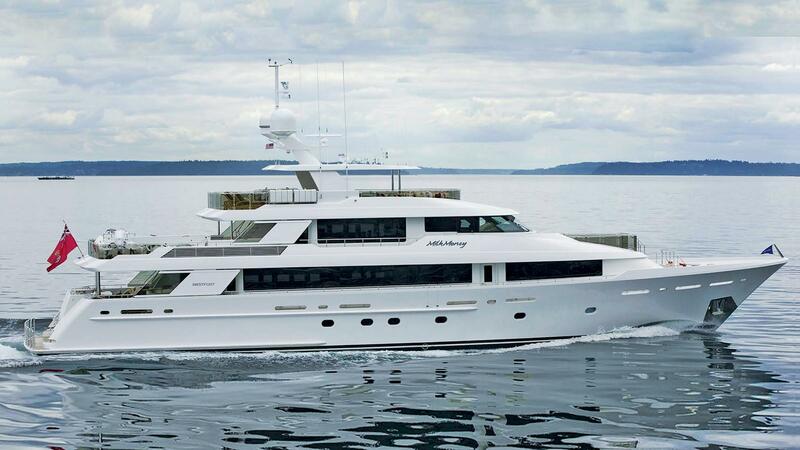 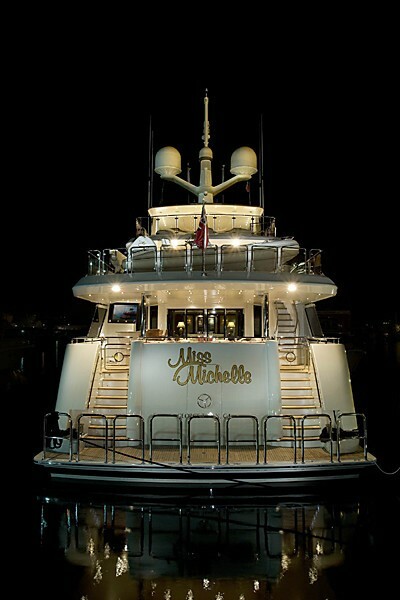 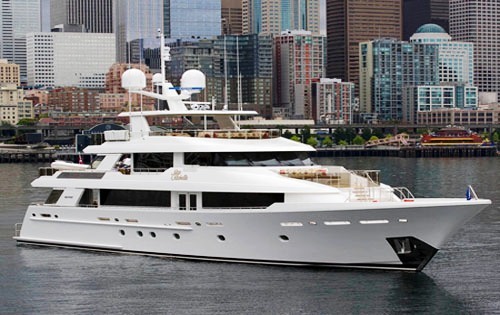 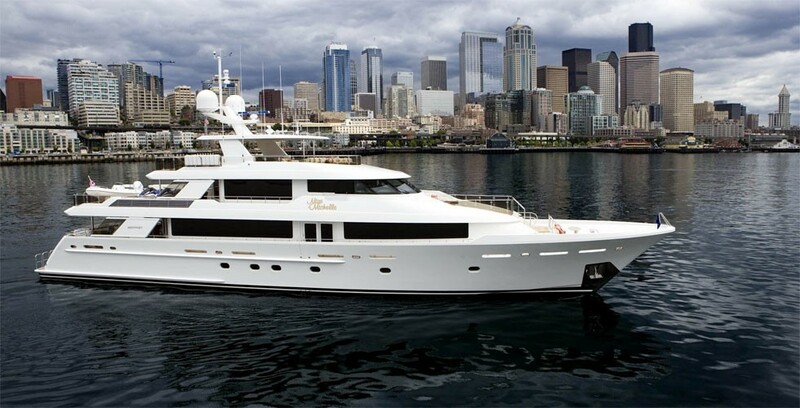 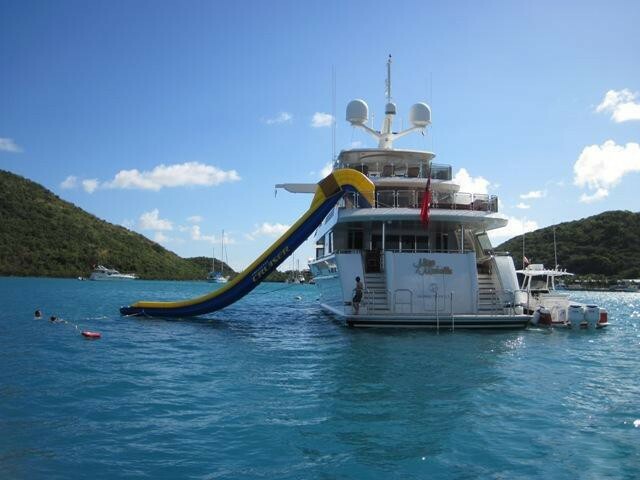 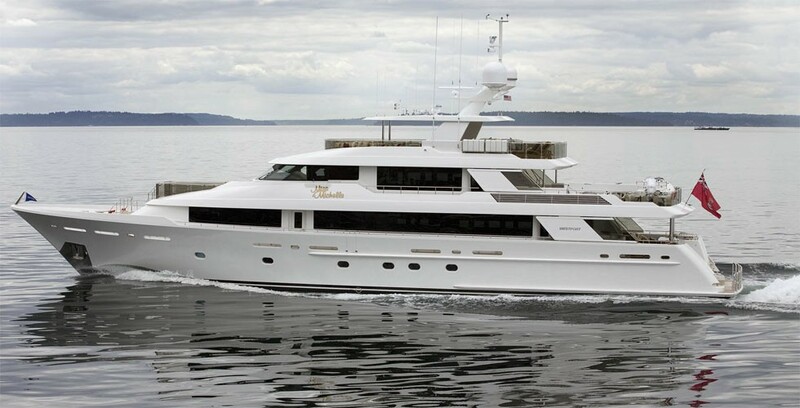 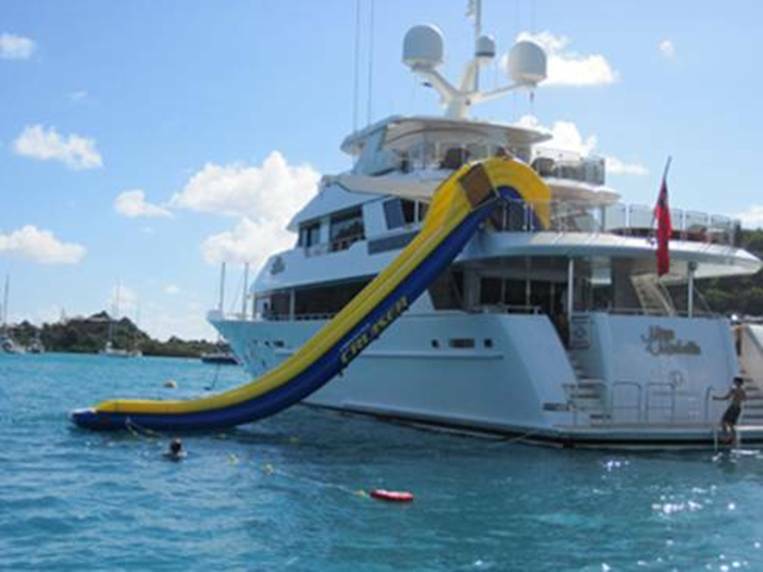 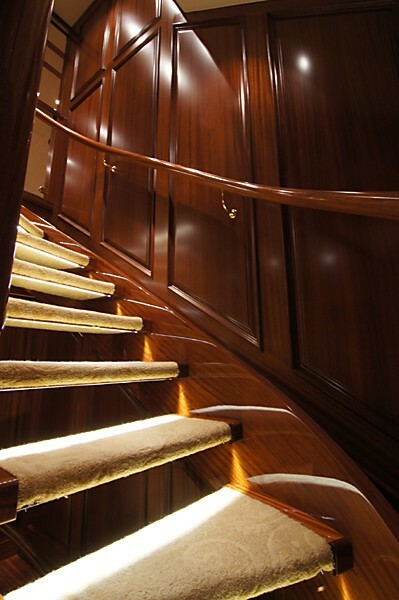 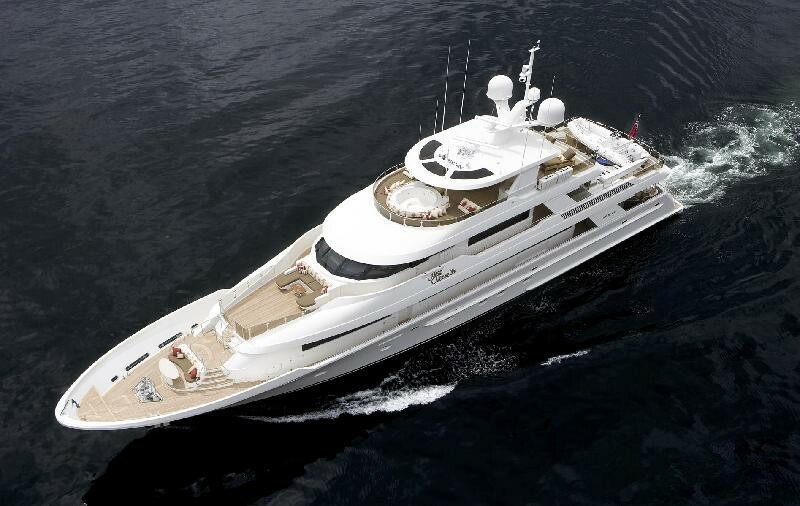 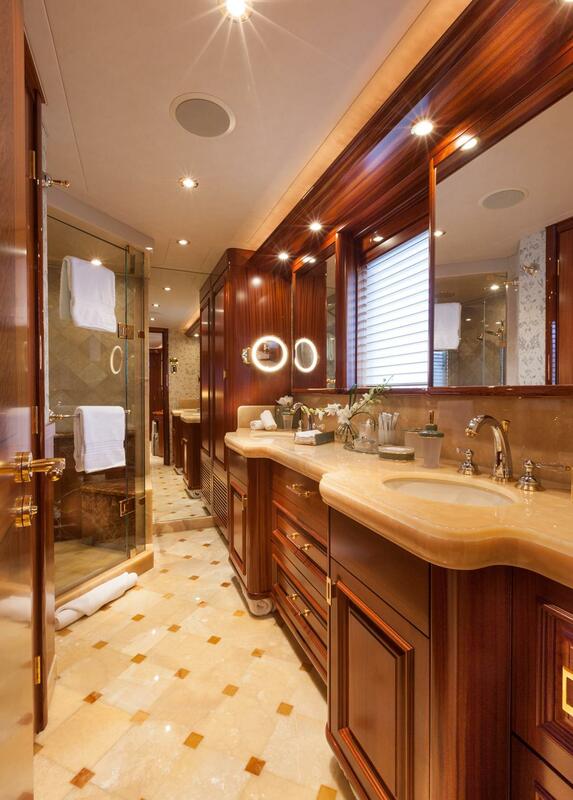 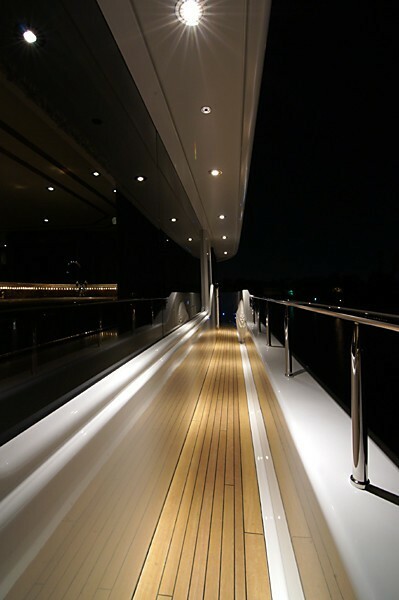 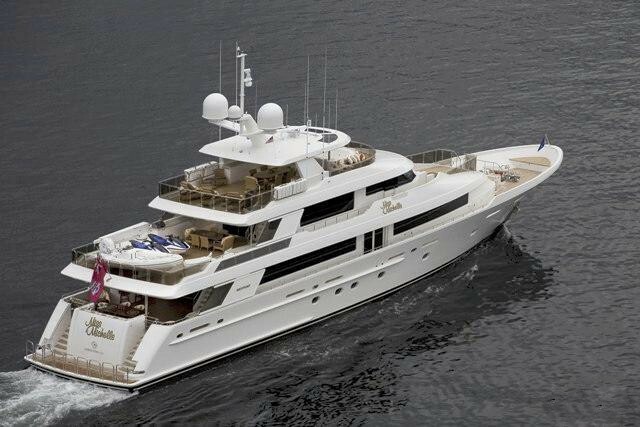 Luxury yacht MILK MONEY (ex MISS MICHELLE) is a 39.62m (130’) Westport motor yacht built in 2009. 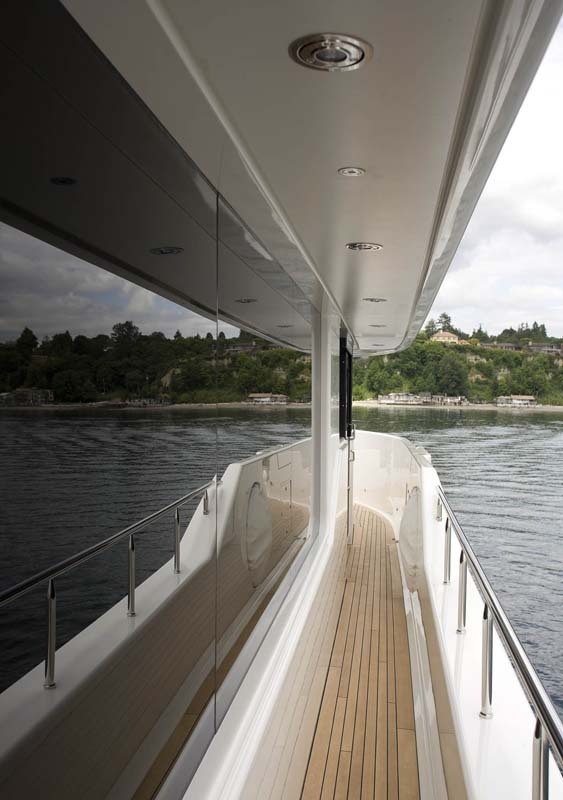 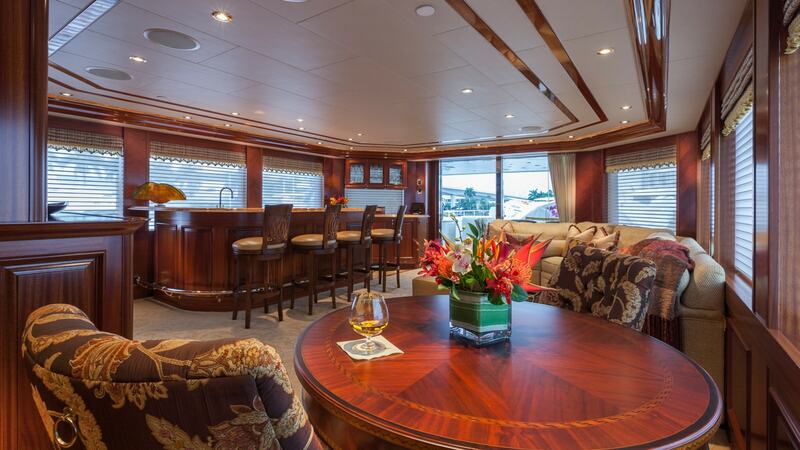 She can cruise at 20-24 knots and can accommodate 11 guests in 5 cabins. 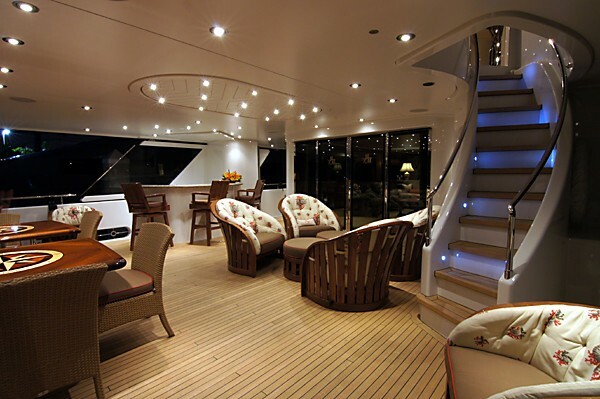 MILK MONEY has a warm and welcoming main salon located on the main deck and accessed through double doors on the aft deck. 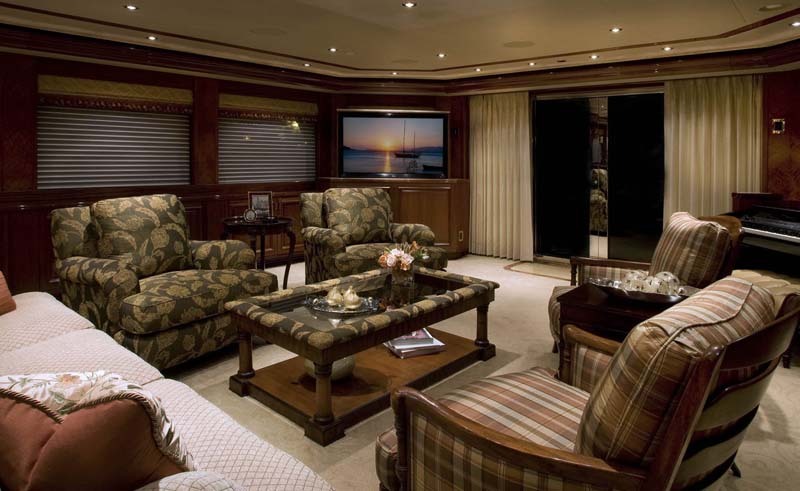 The salon offers a conversation area with four occasional chairs, coffee table and sofa along with an entertainment centre containing a 50” pop-up Plasma TV with Surround sound, DVD/CD player and iPod docking station. 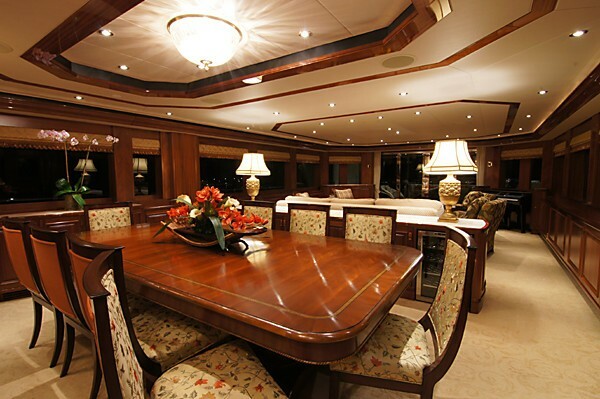 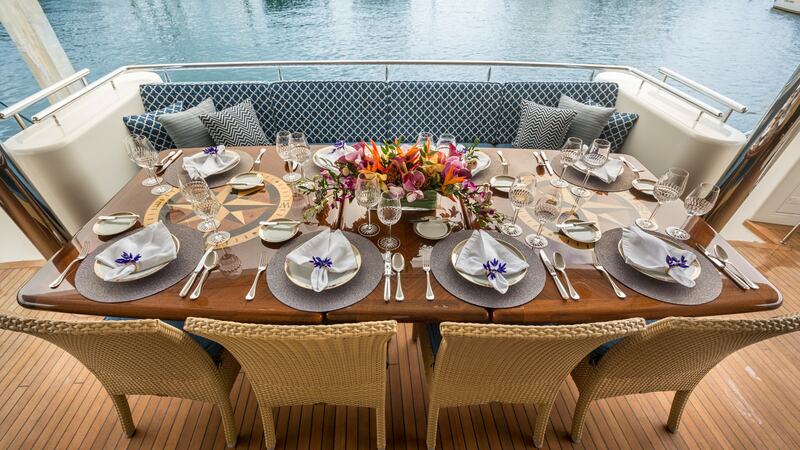 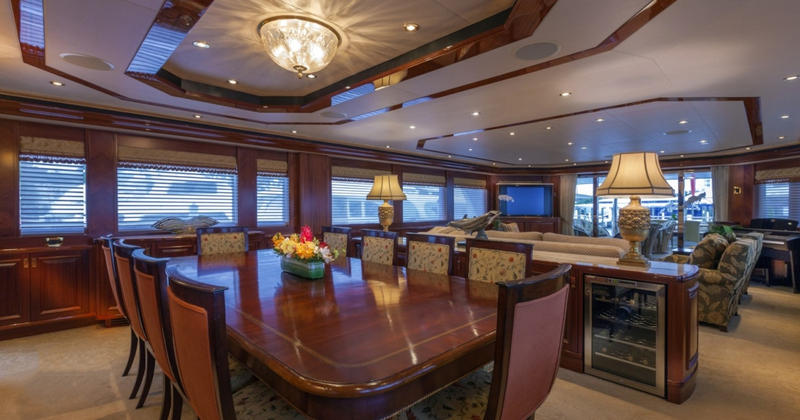 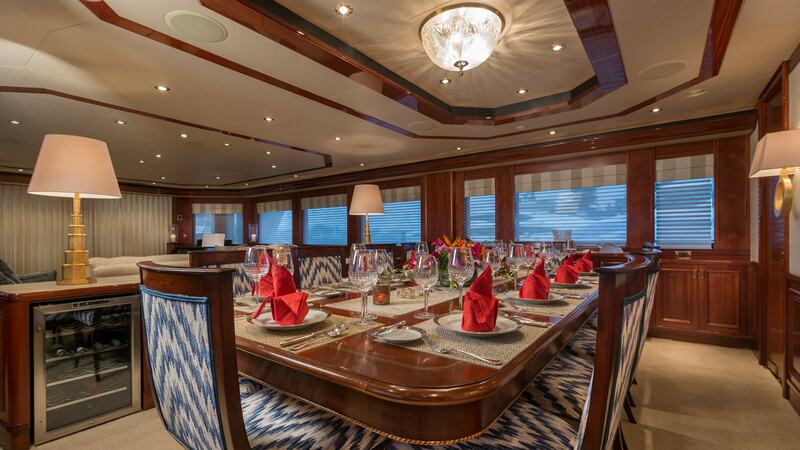 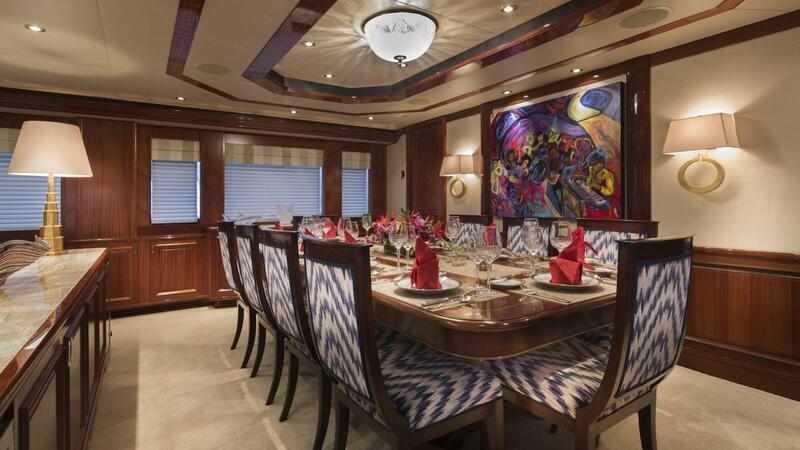 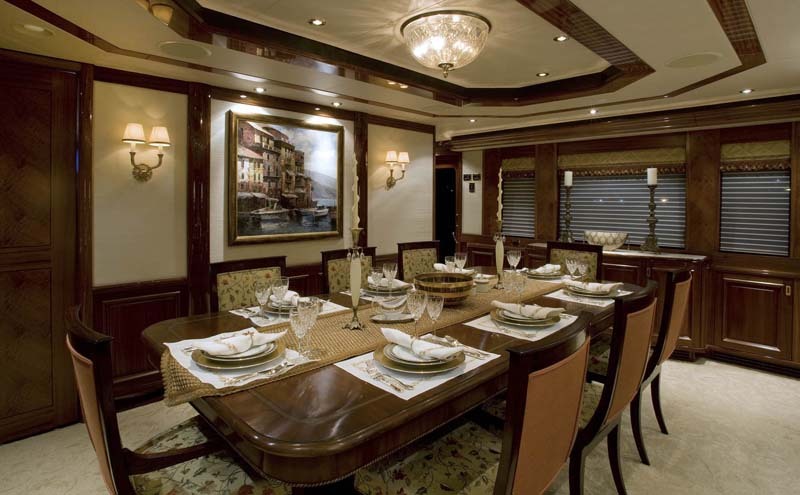 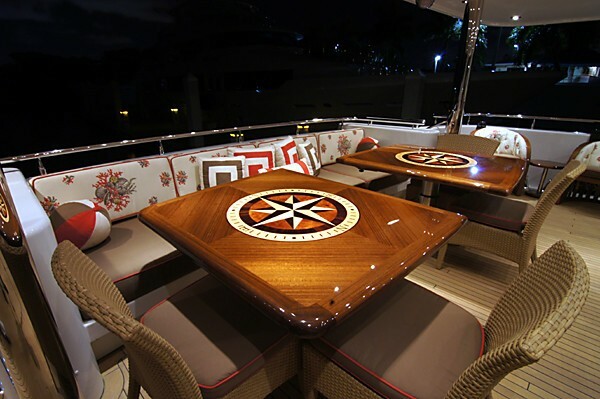 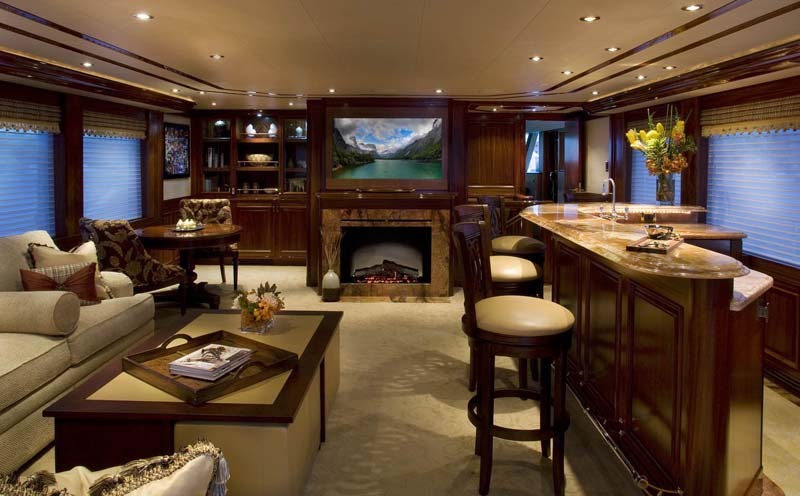 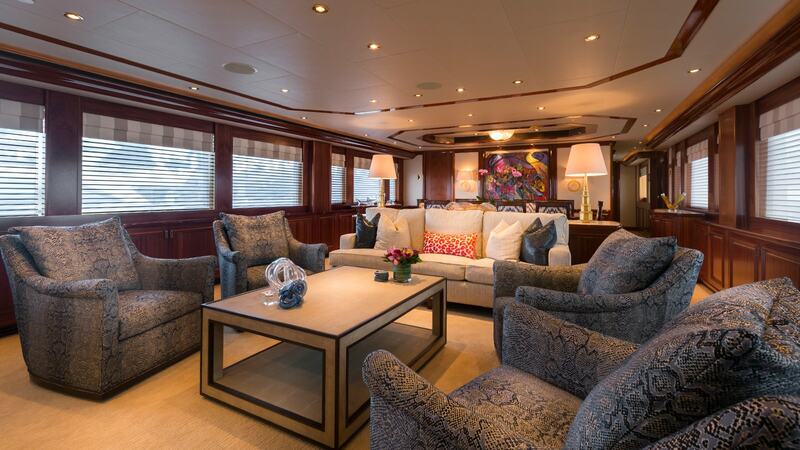 The intimate dining area is forward of the salon and can seat up to 10 guests with buffets to port and starboard. 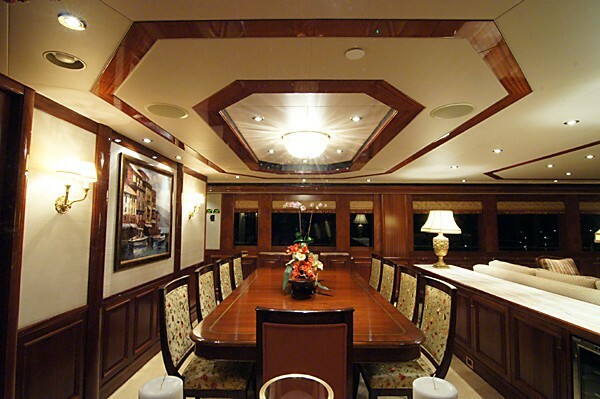 There is a day head forward of the dining area to starboard. 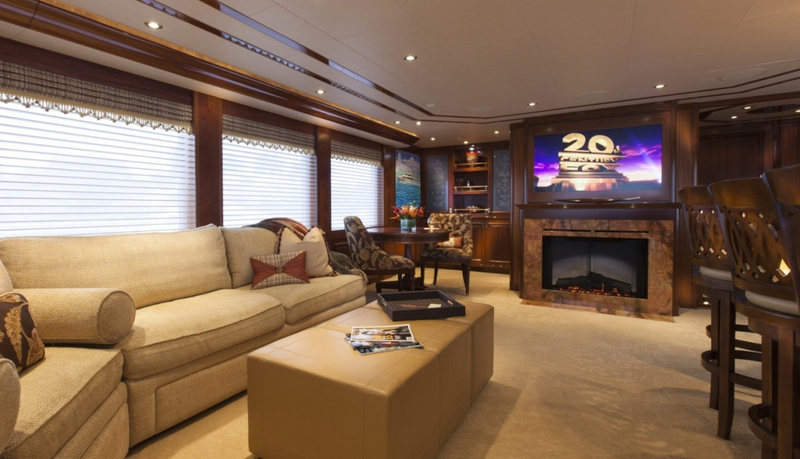 The Sky Lounge above is a favourite gathering area with spacious seating, a full bar, game table, relaxing sofa and a 50” HD TV with DVD/CD player and Surround sound. There is a day head just forward of the sky lounge. 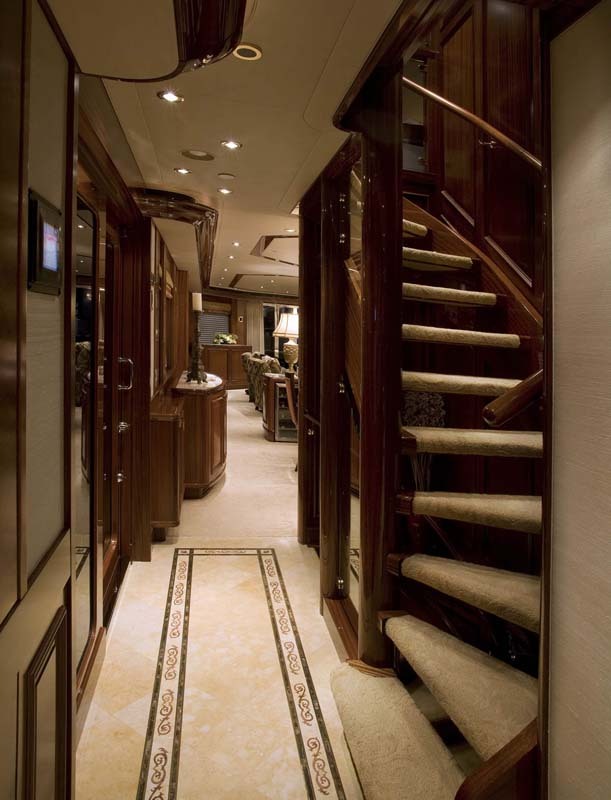 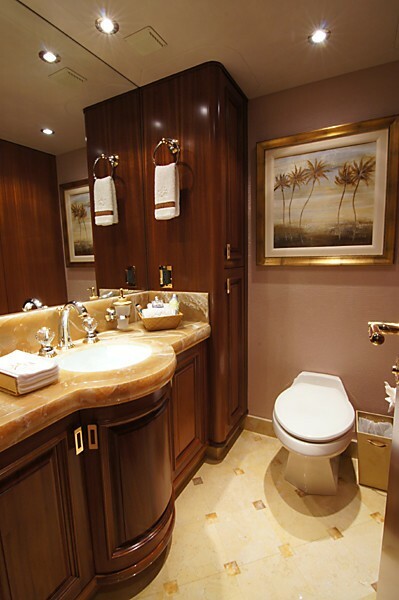 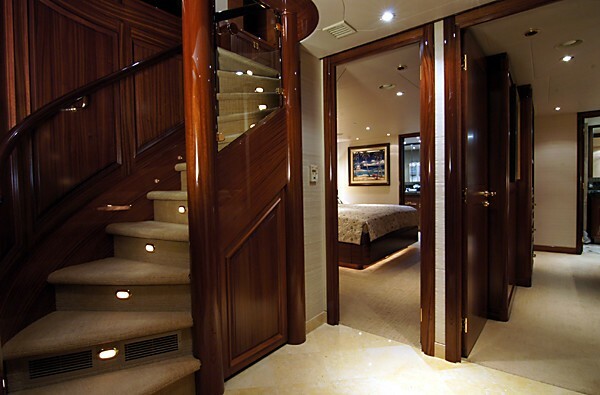 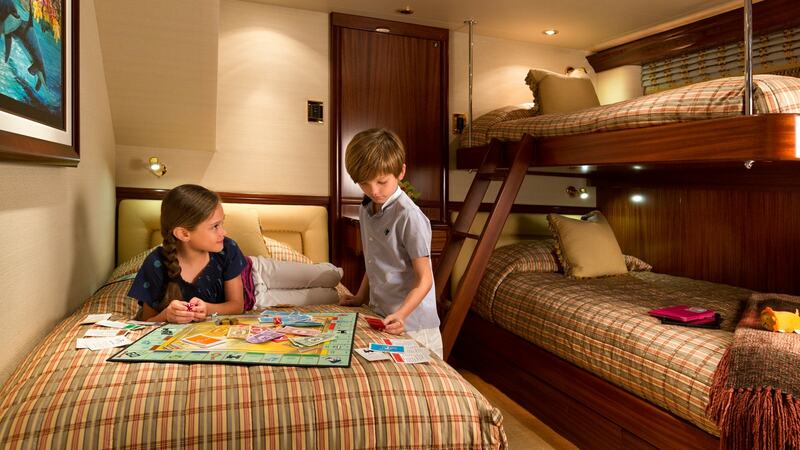 The master cabin is located on the main deck forward while the remaining 4 cabins are located on the lower deck. 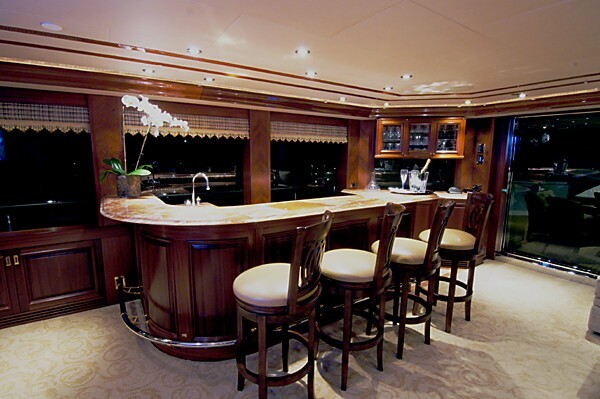 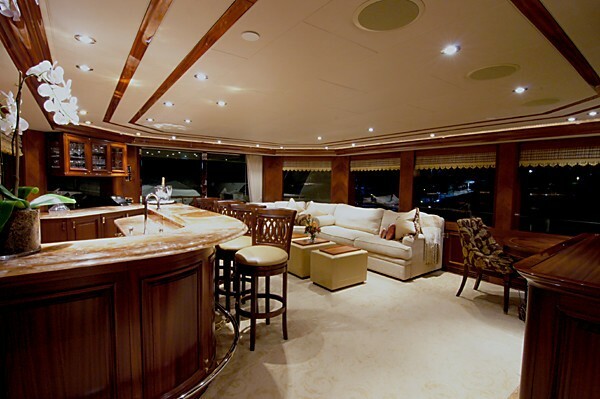 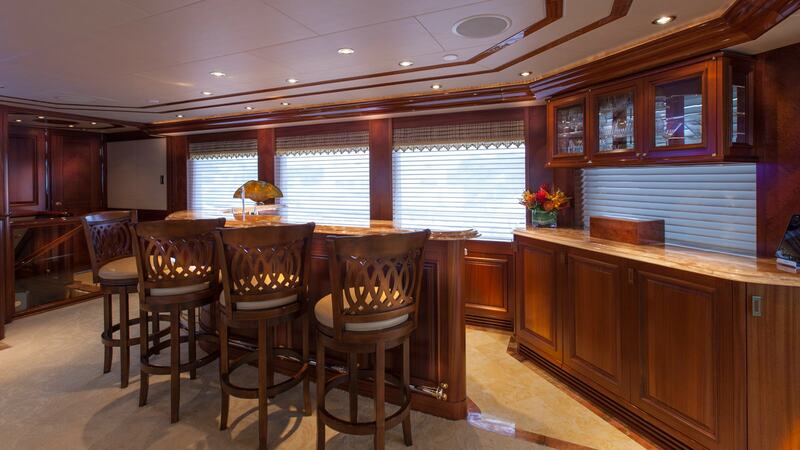 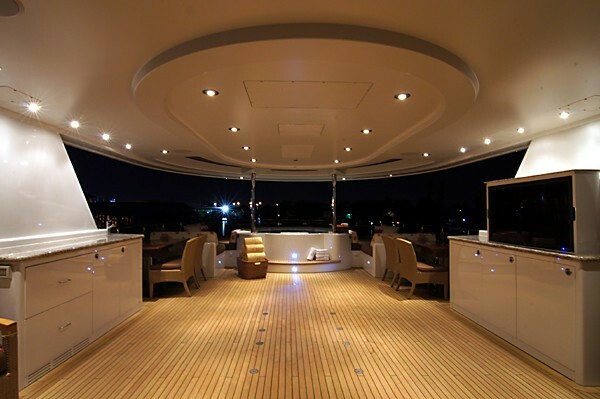 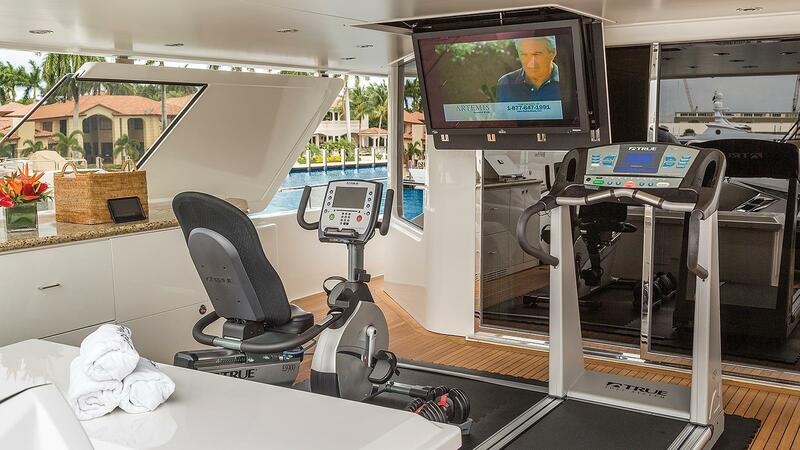 The aft deck boasts a 37” Plasma TV situated above the bar with 3 stools and is visible to the large al fresco dining table for up to 10 which converts to 2 small high or low cocktail tables. 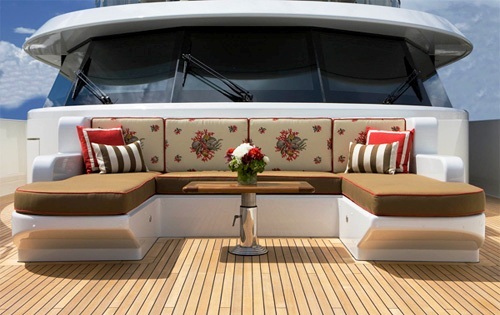 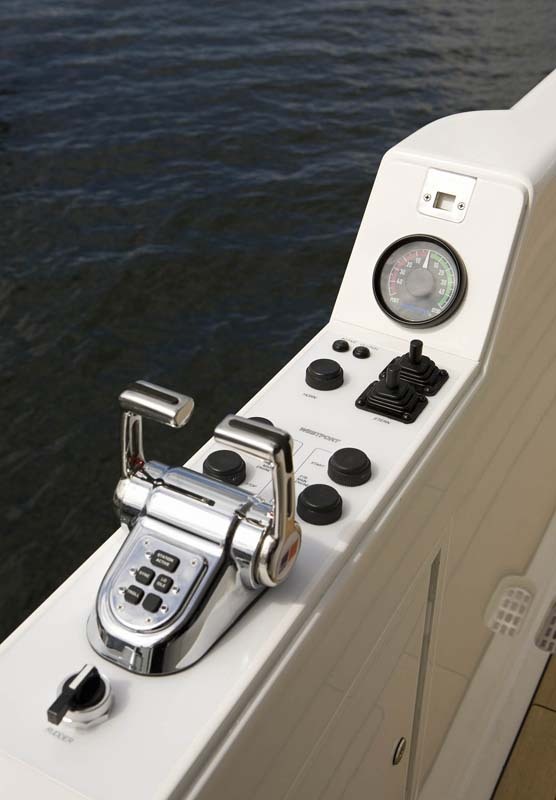 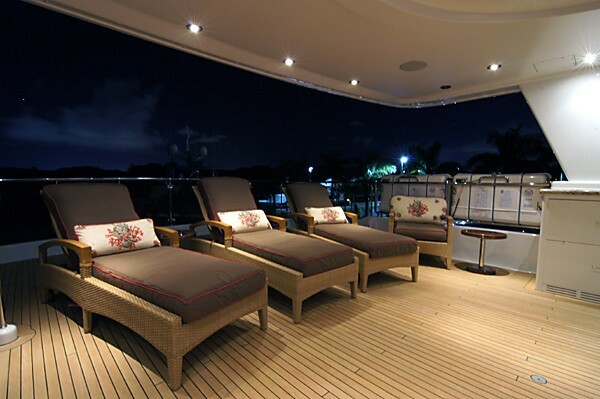 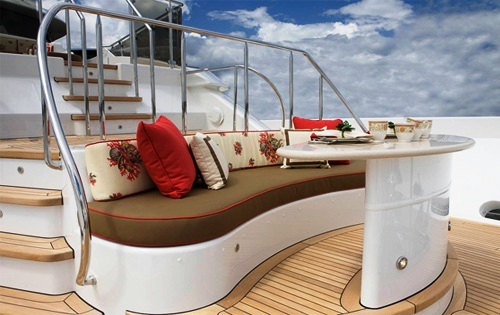 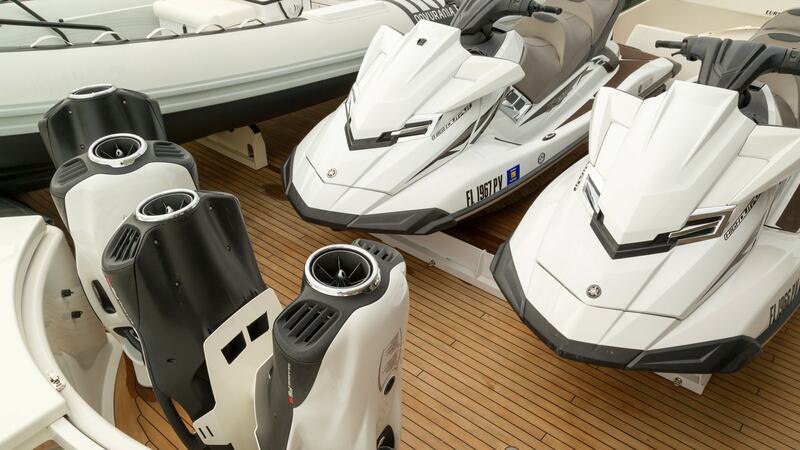 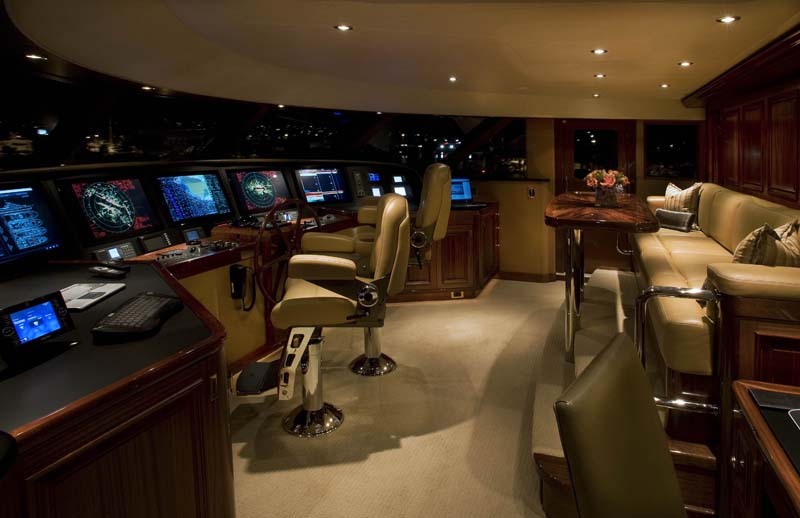 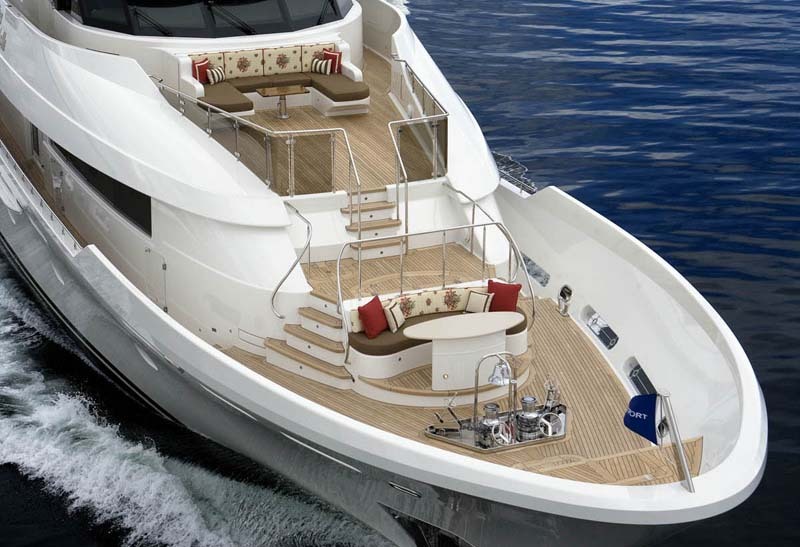 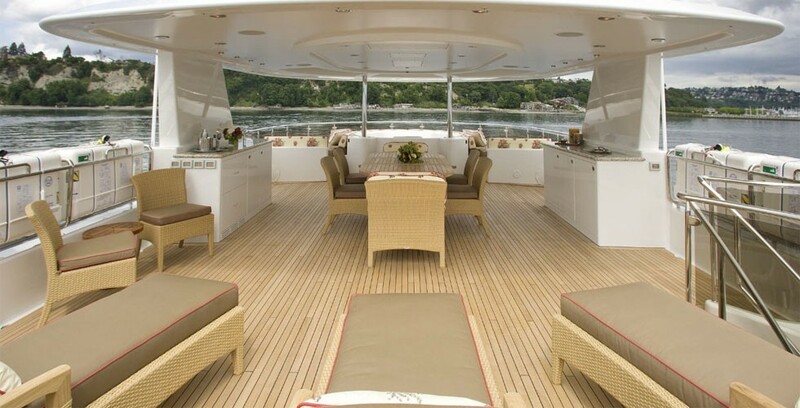 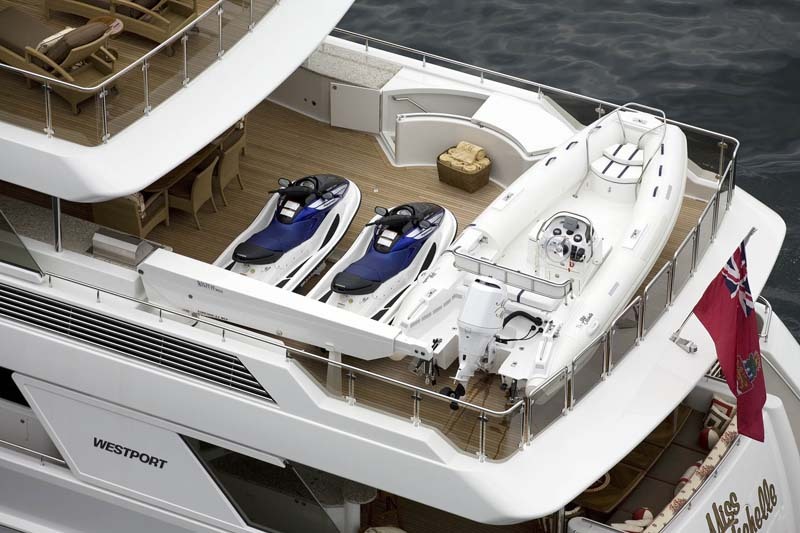 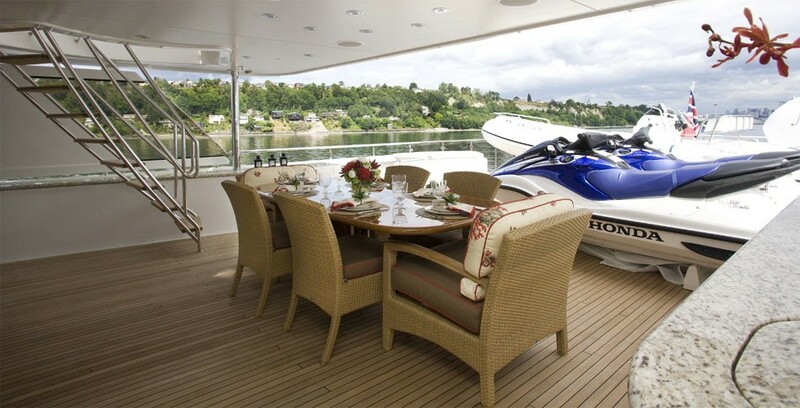 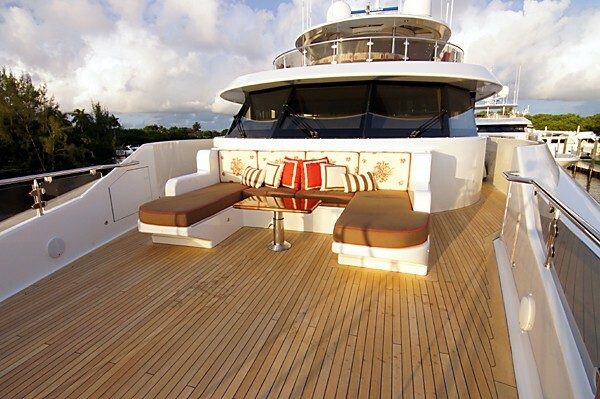 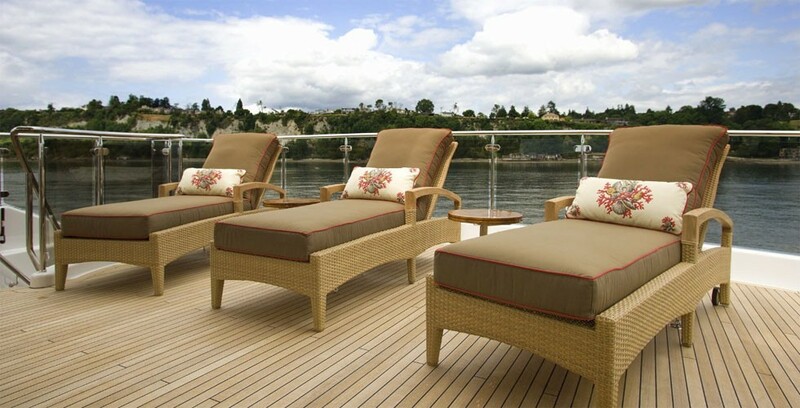 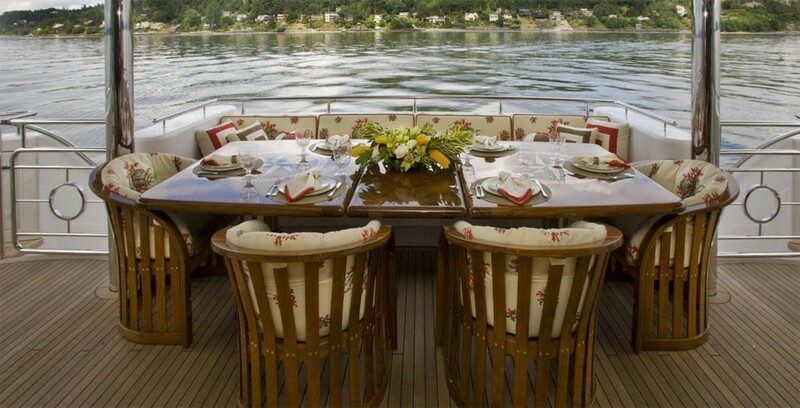 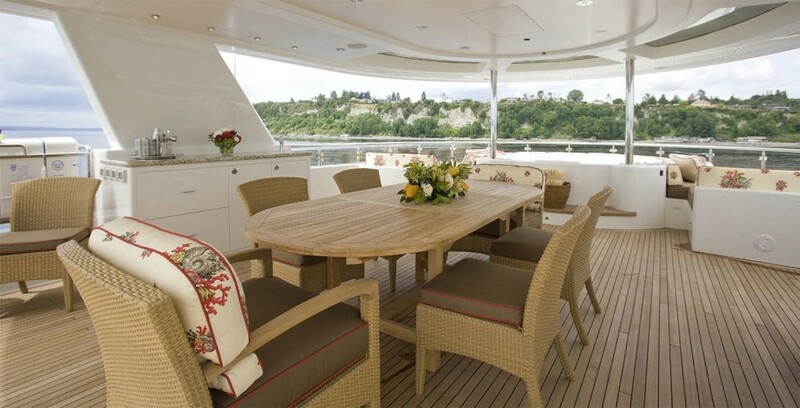 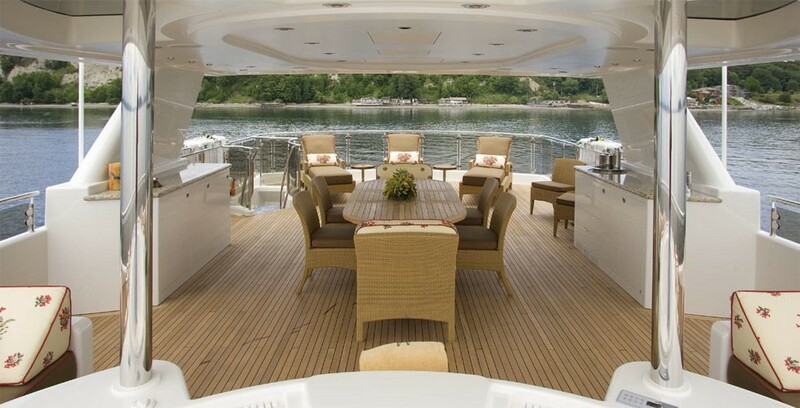 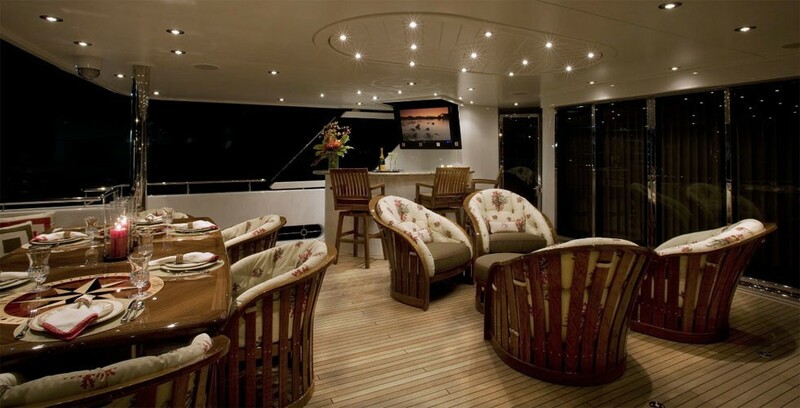 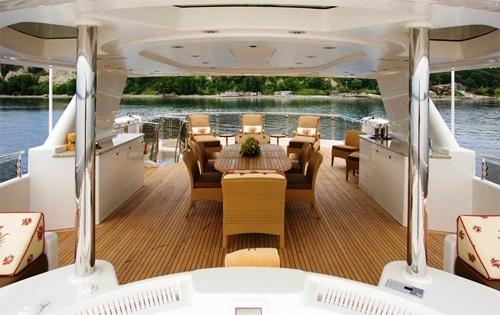 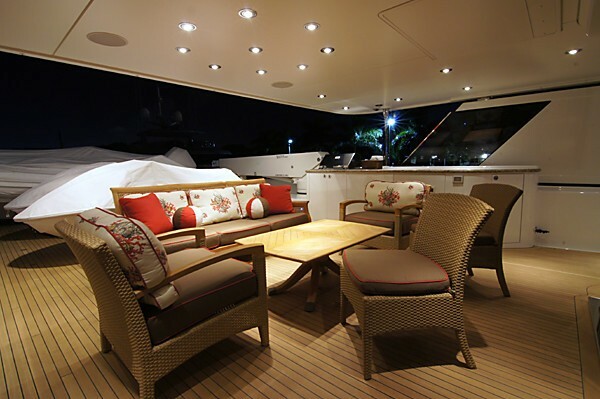 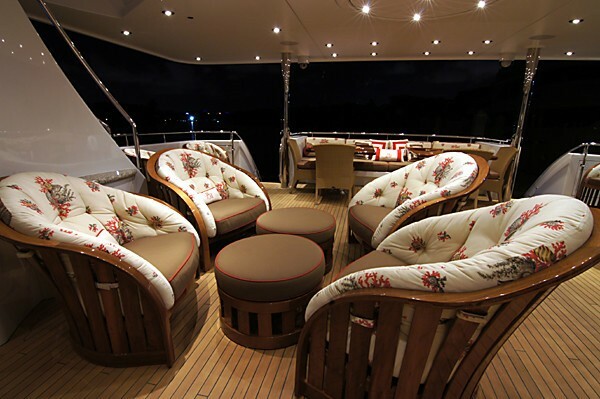 In the centre of the aft deck are 4-oversized comfortable chairs with table. 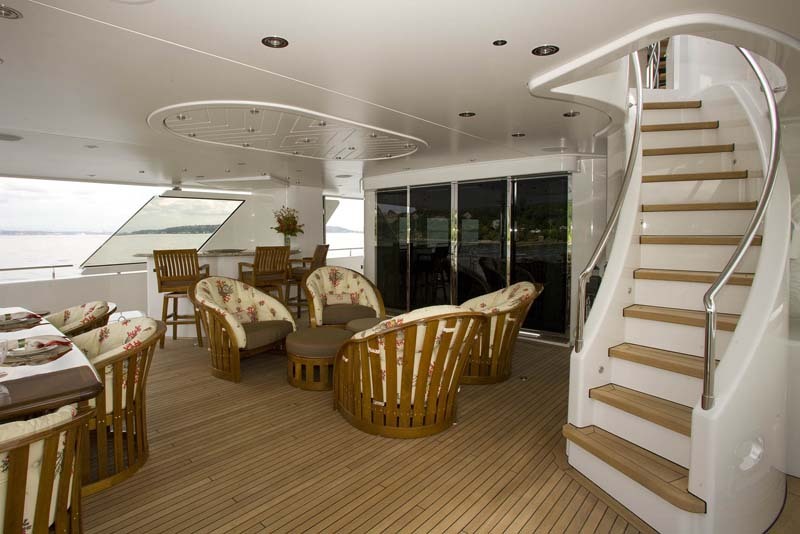 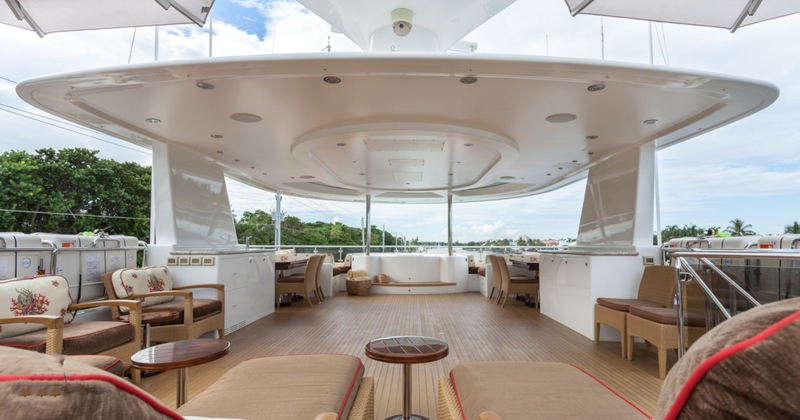 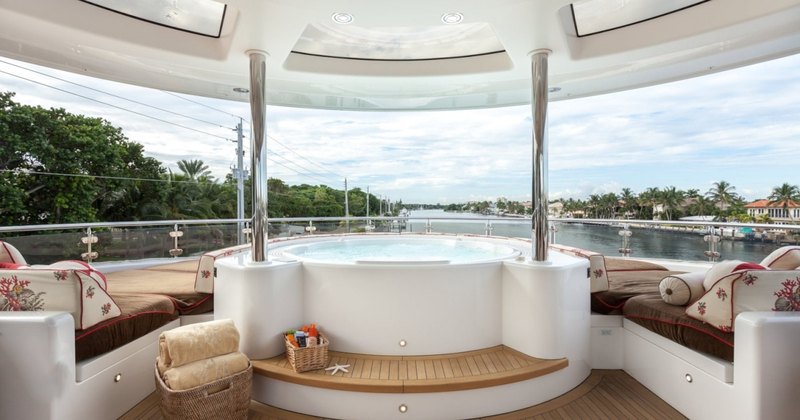 Her wrap around decks lead to bow that has a seating area with table and there are stairs leading to the bow area from the Bridge deck which has another seating area with a table that converts to sun pads with room for 6 or more guests. 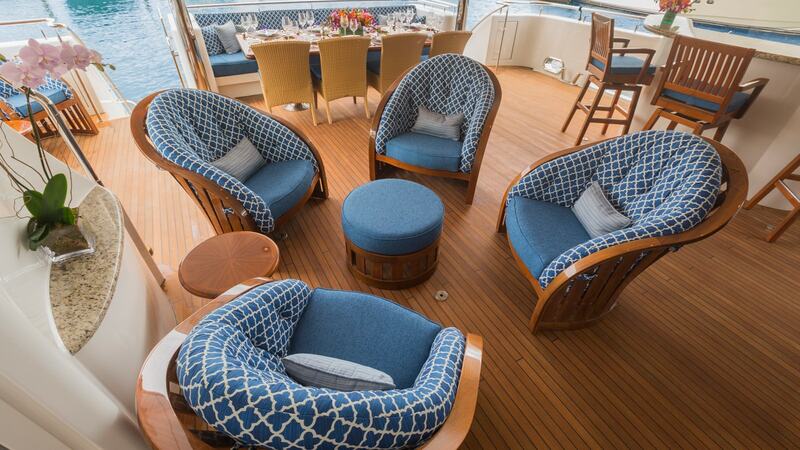 There is more space for alfresco dining on the Sky Lounge Deck where there is also a BBQ. 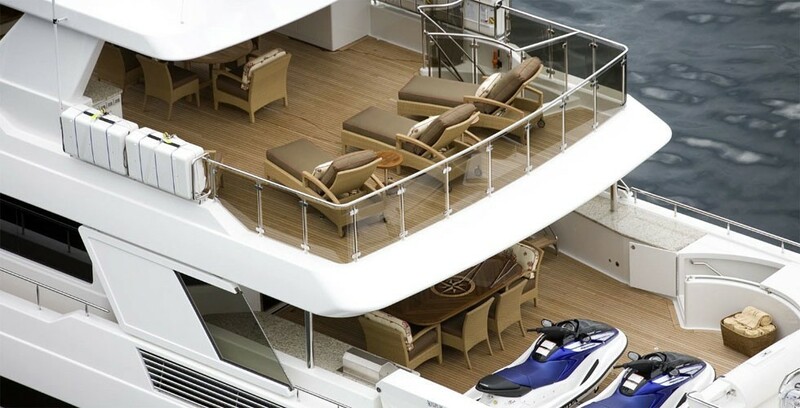 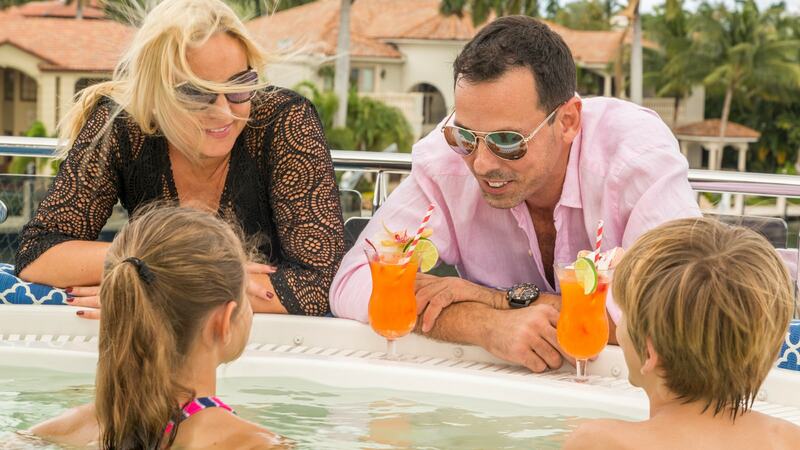 The Sun Deck above boats a Spa Pool with sun pads, a dining table for up to 10 guests, a 52” TV that can be angled to be viewed forward or aft, 3 sun chairs, and a wet bar. 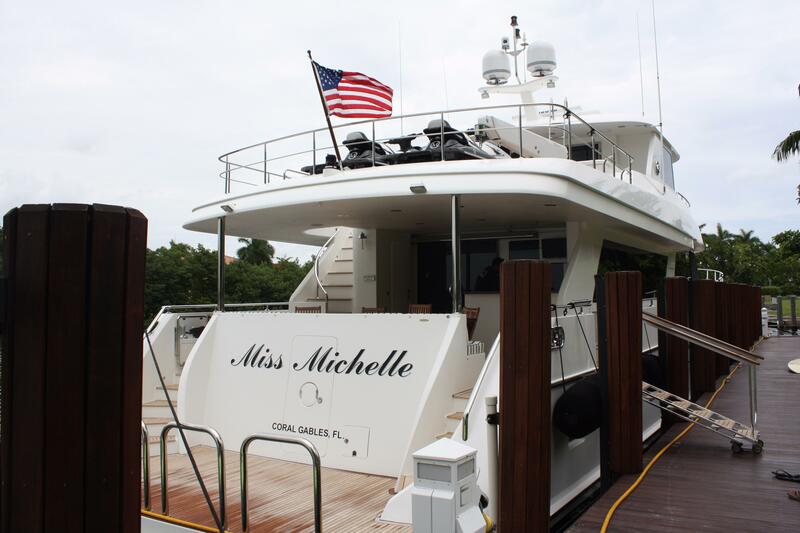 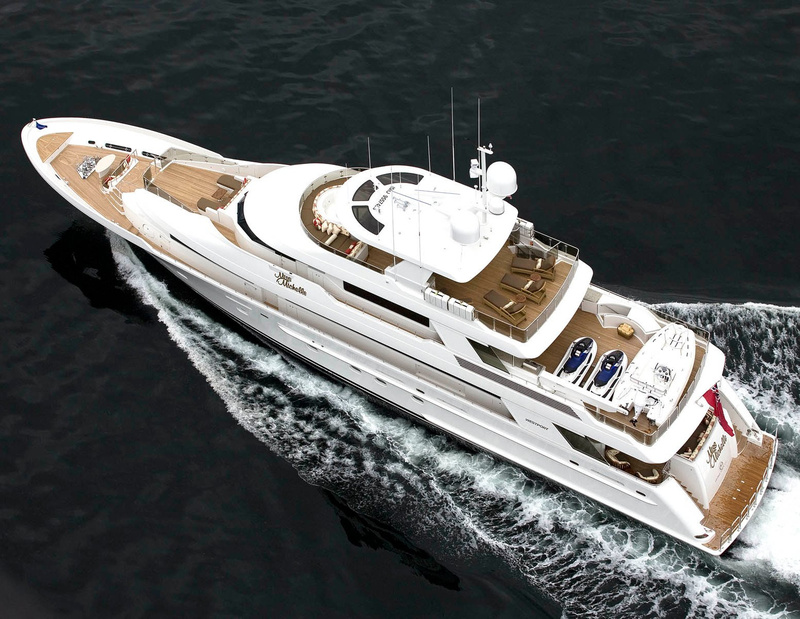 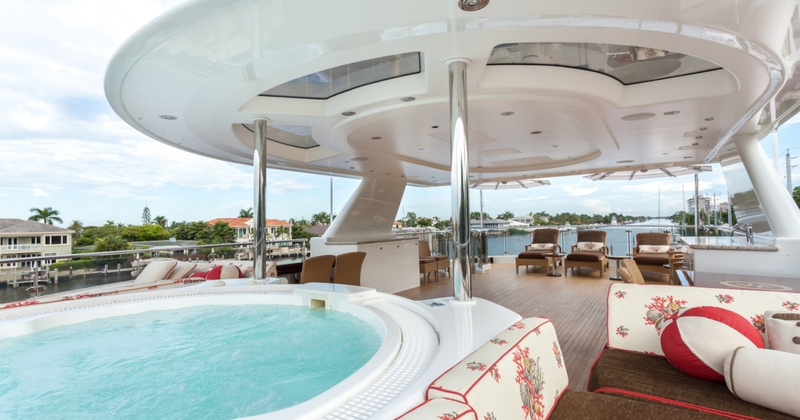 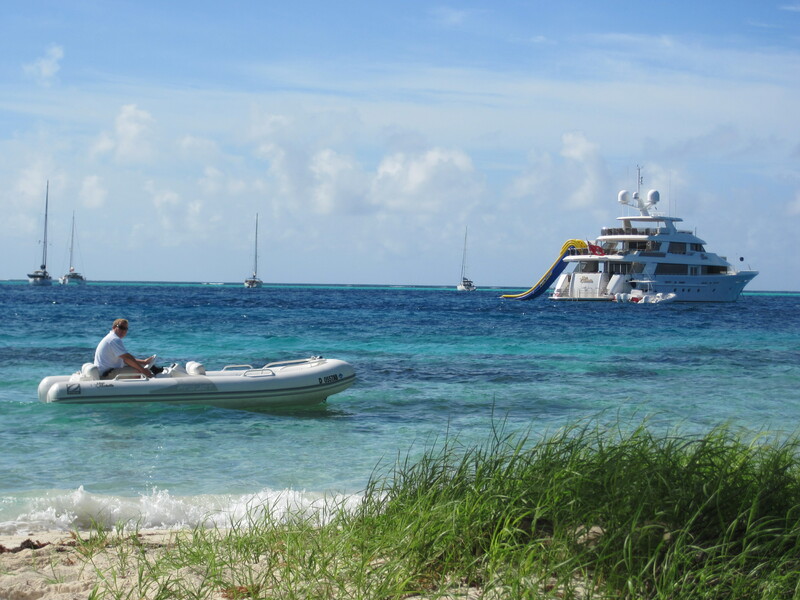 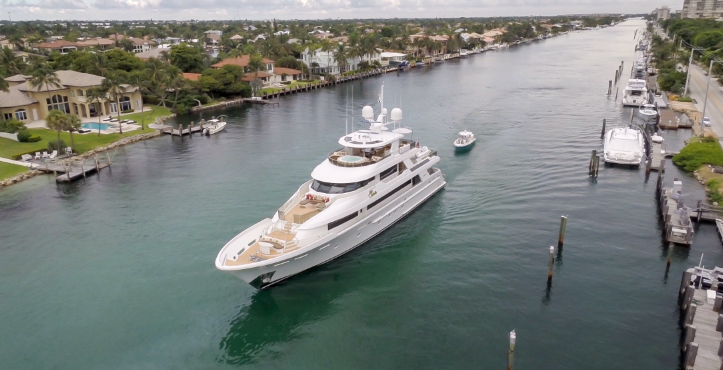 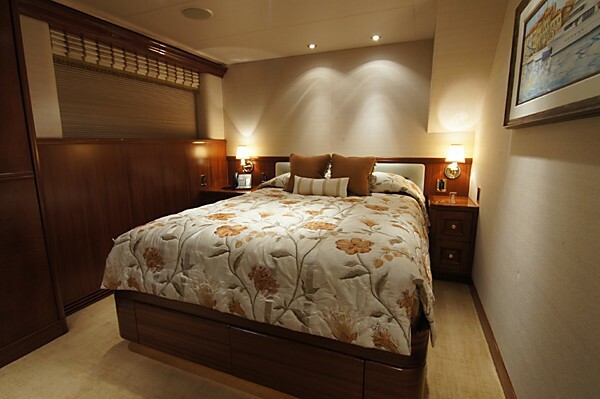 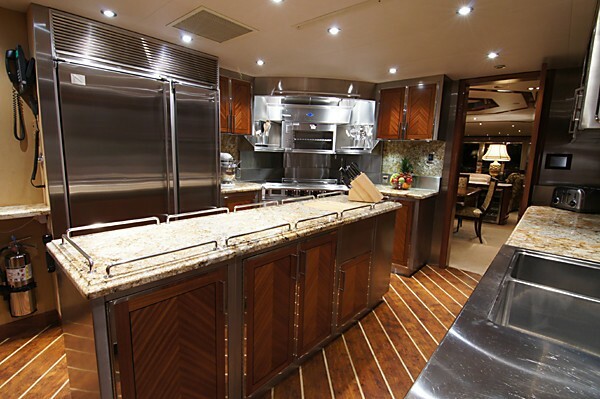 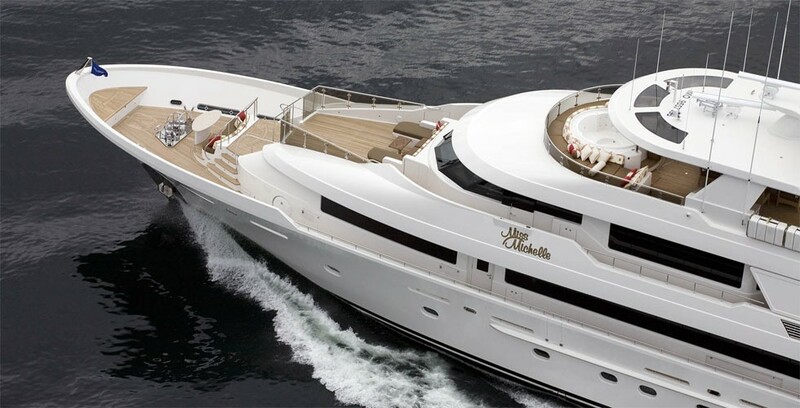 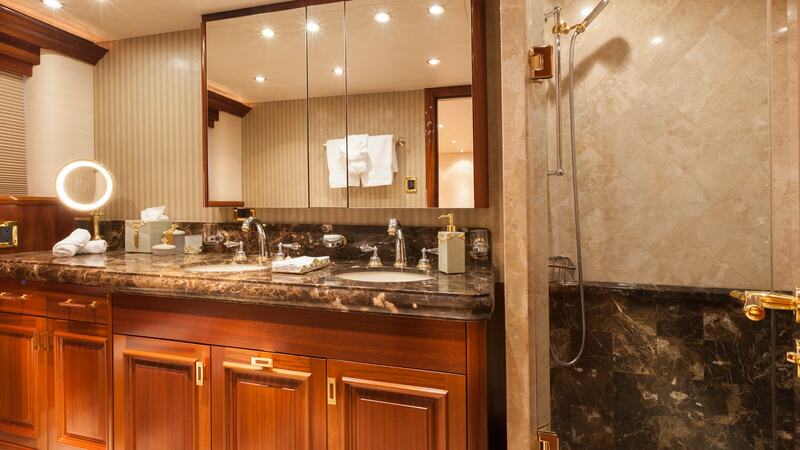 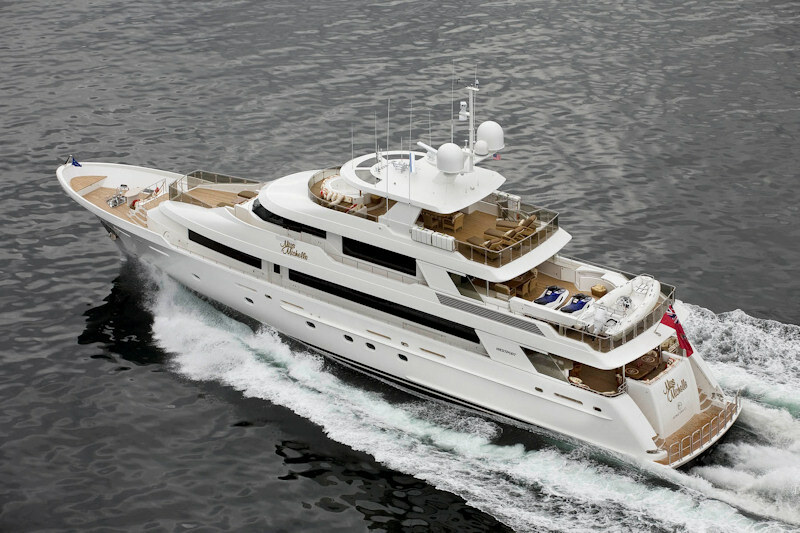 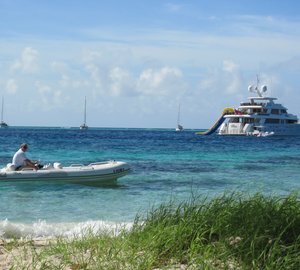 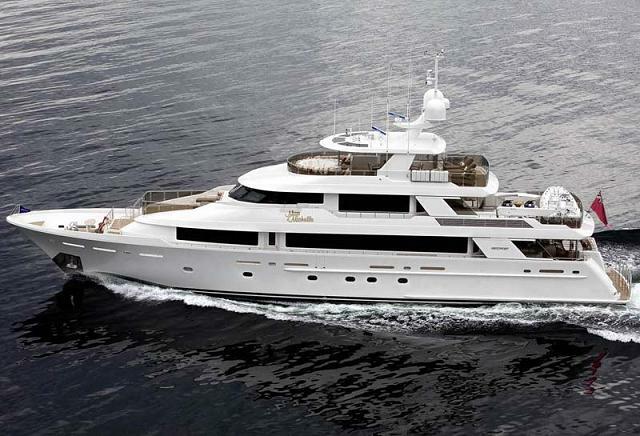 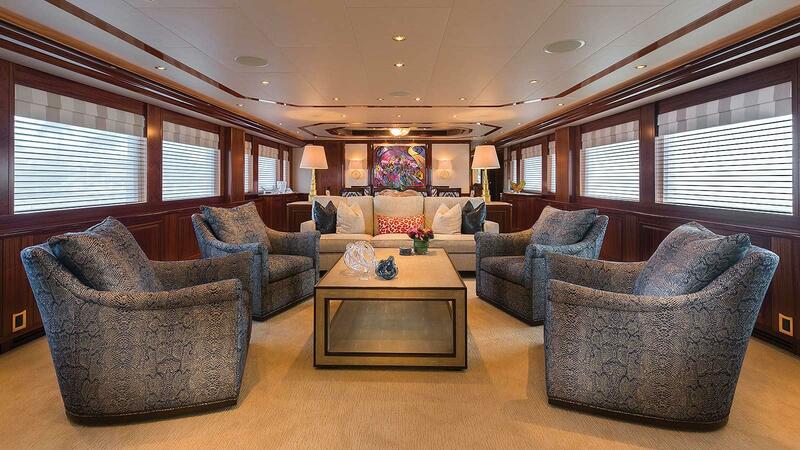 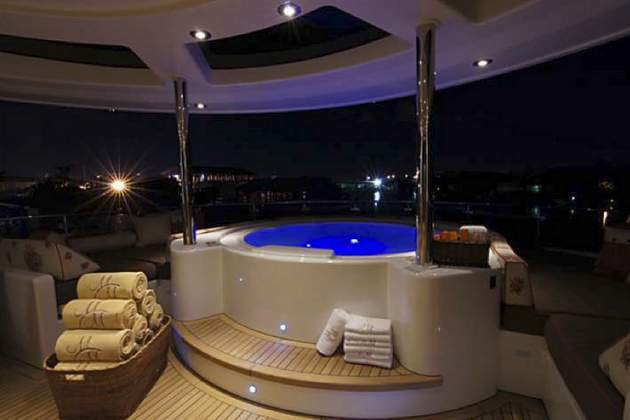 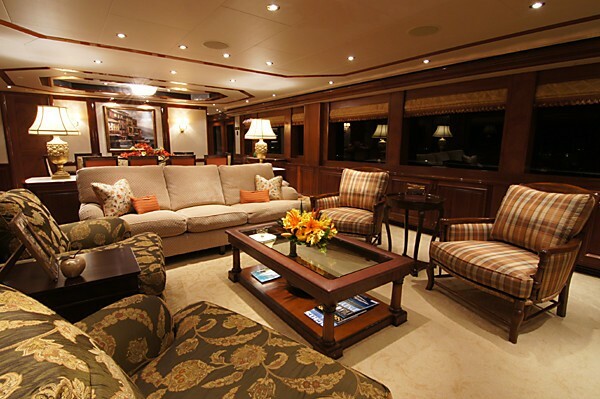 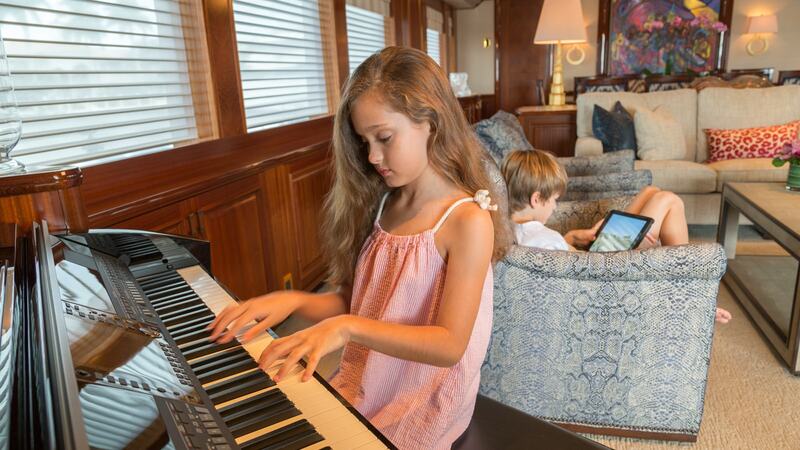 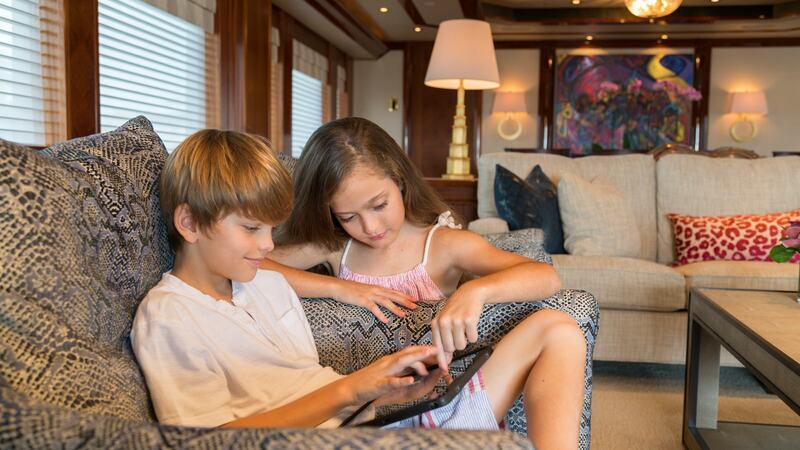 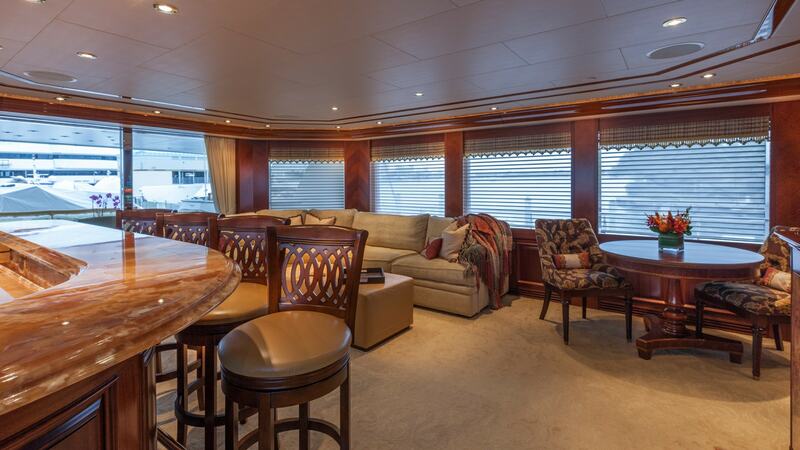 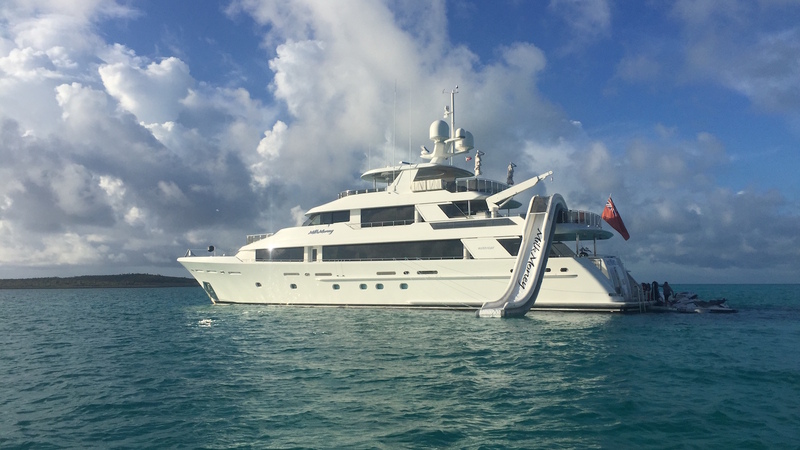 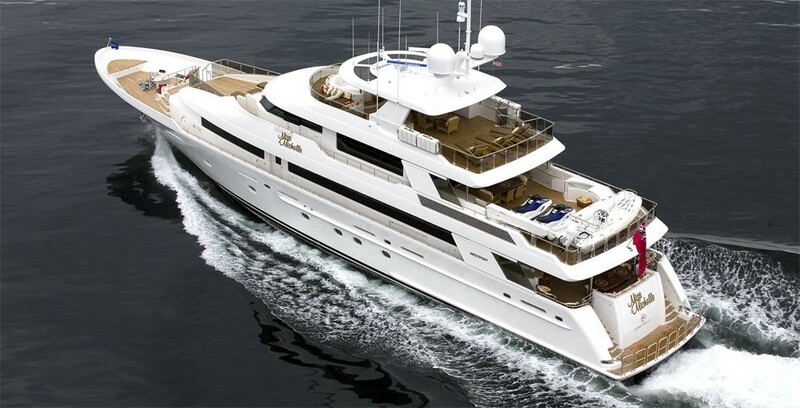 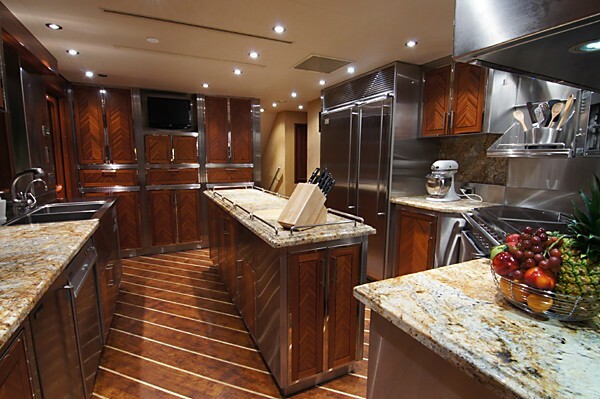 M/Y MILK MONEY can accommodate up to 11 guests in 5 cabins. 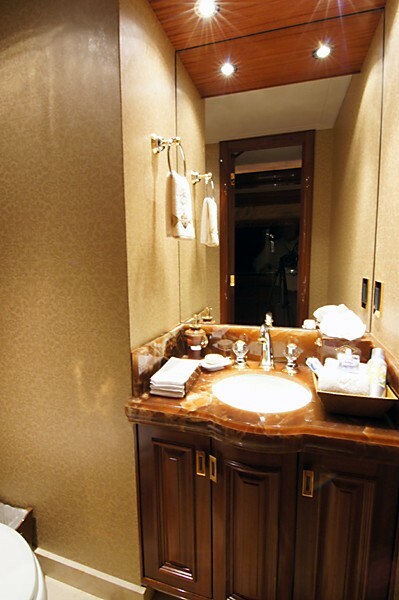 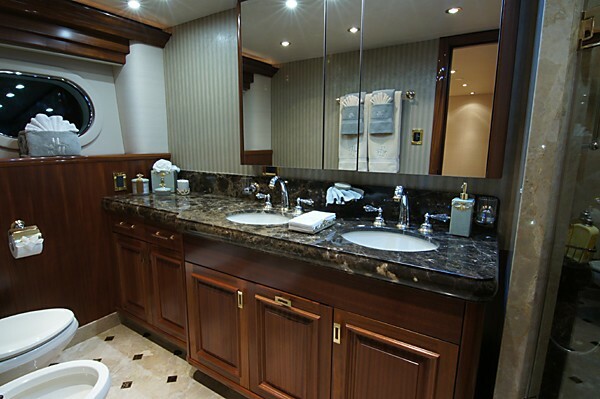 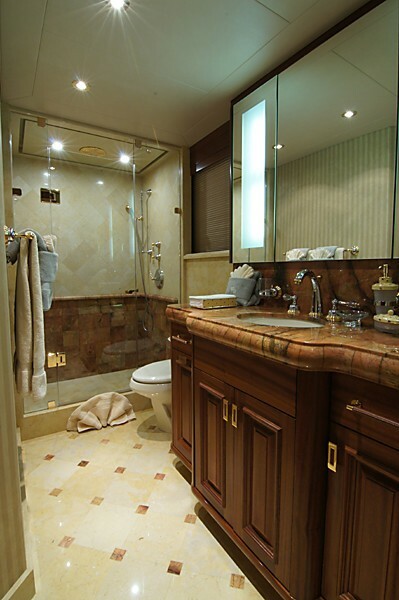 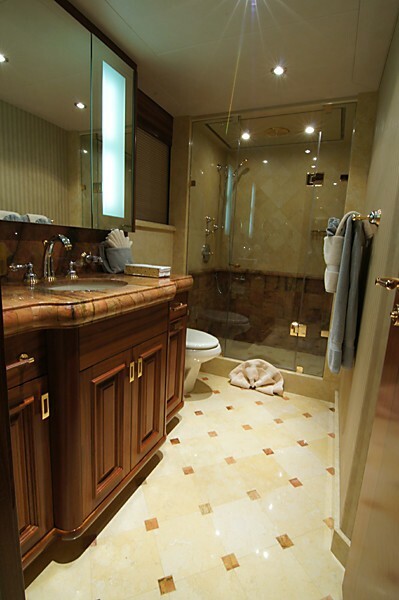 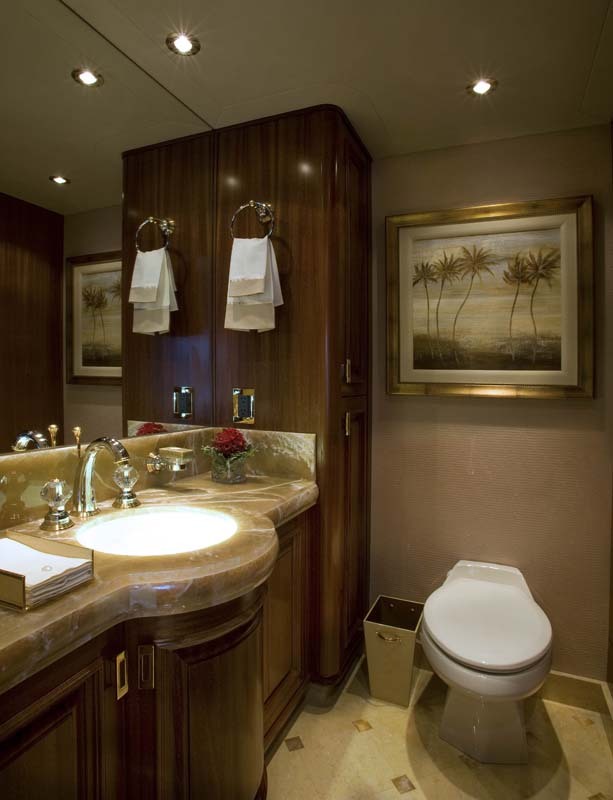 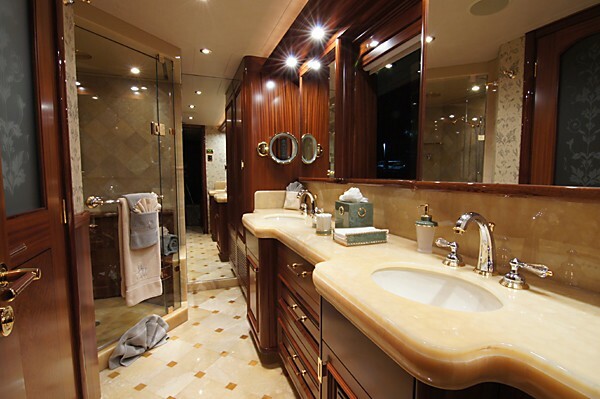 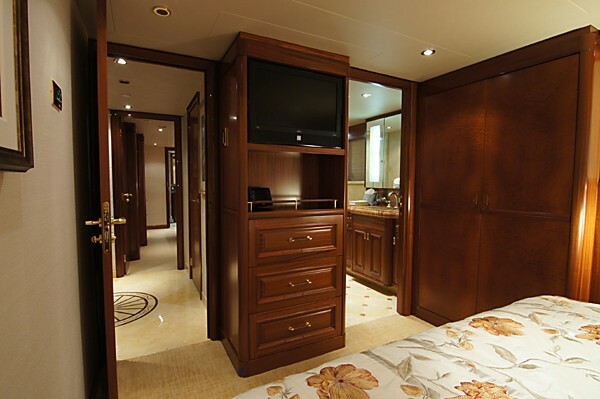 Her Master Stateroom located on the main deck has a centerline king-size bed with two nightstands, dresser, Vanity with mirror, his and her walk-in closets and private head and shower. 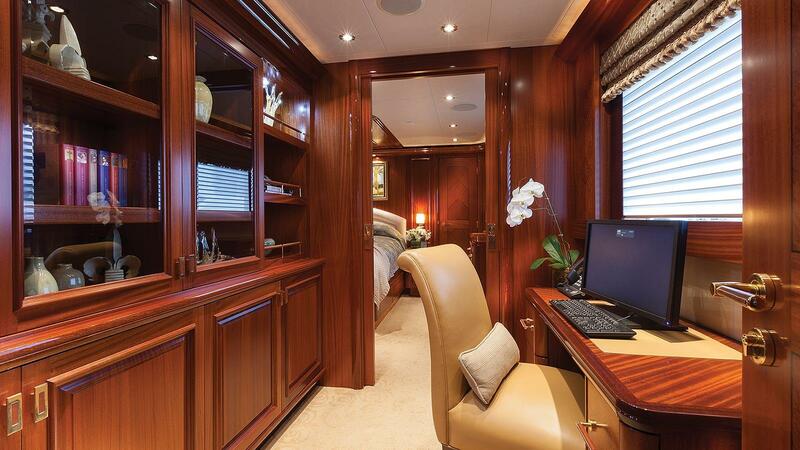 The Master cabin also boasts a separate office area with desk. 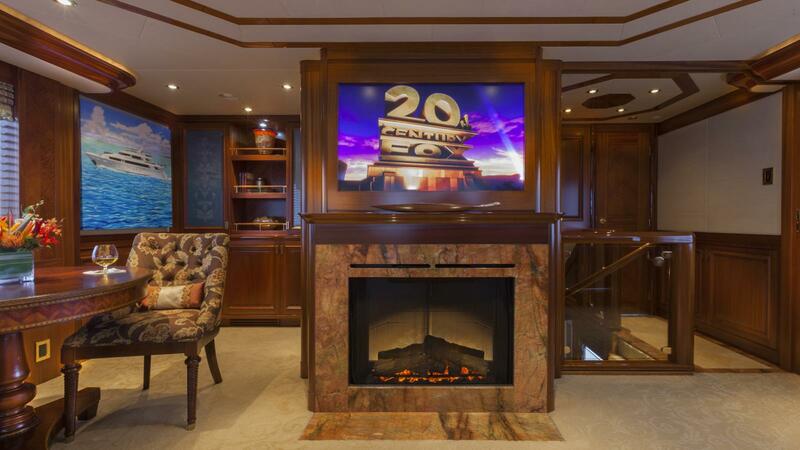 Entertainment centre with 42” HD Plasma TV, DVD/CD player, and surround sound. 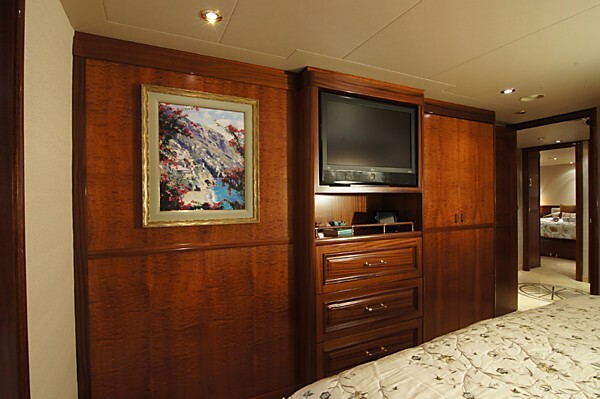 The first VIP Stateroom is located Aft on the lower deck to port with a Centerline king-sized bed with two nightstands, dresser, closet and private head and shower. 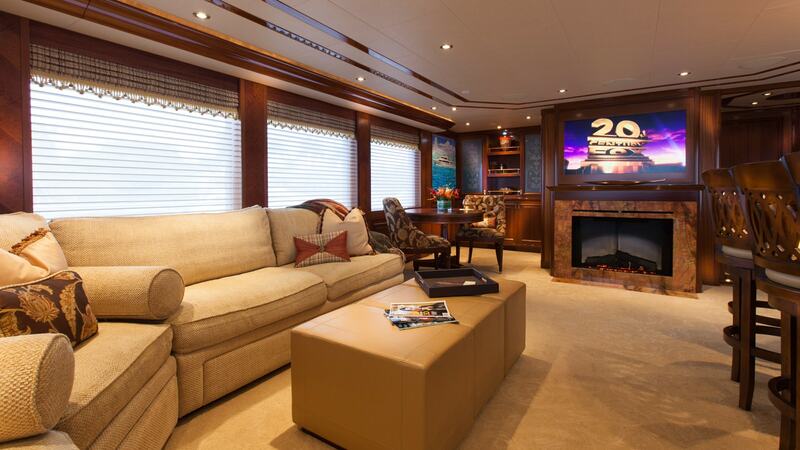 Entertainment centre with 32” HD TV with DVD/CD player. 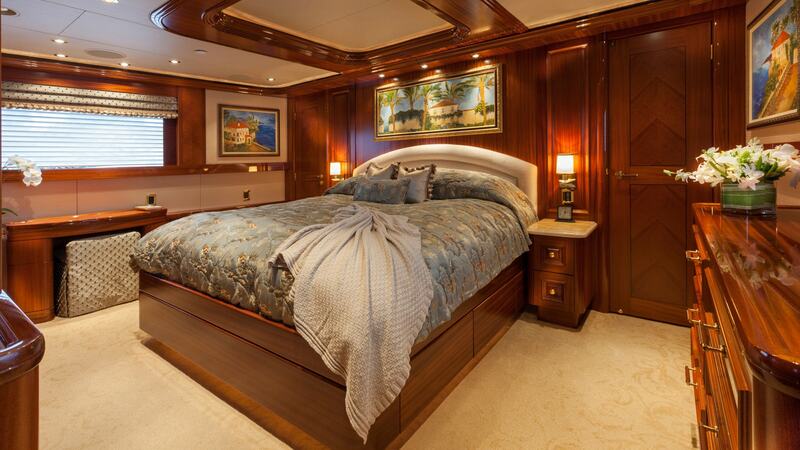 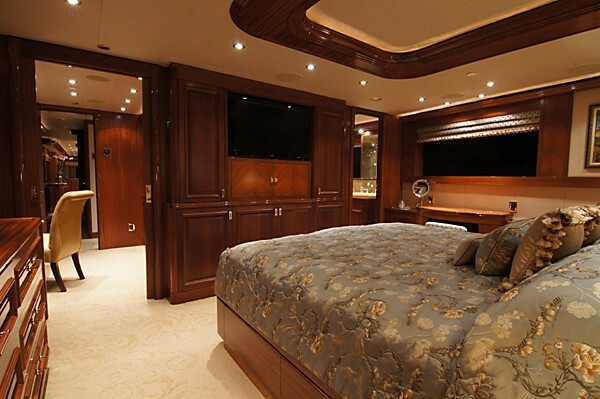 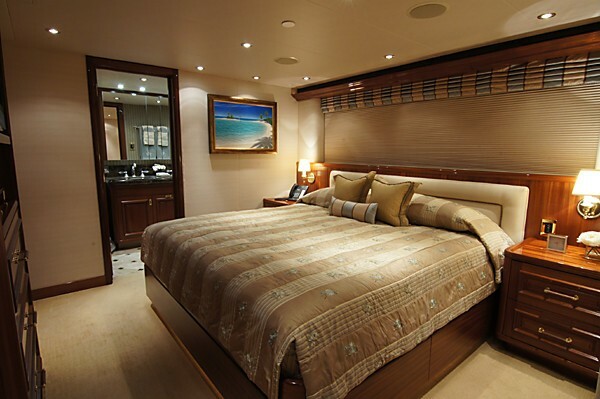 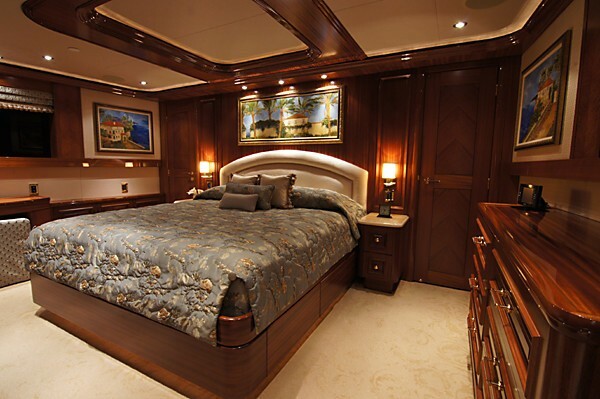 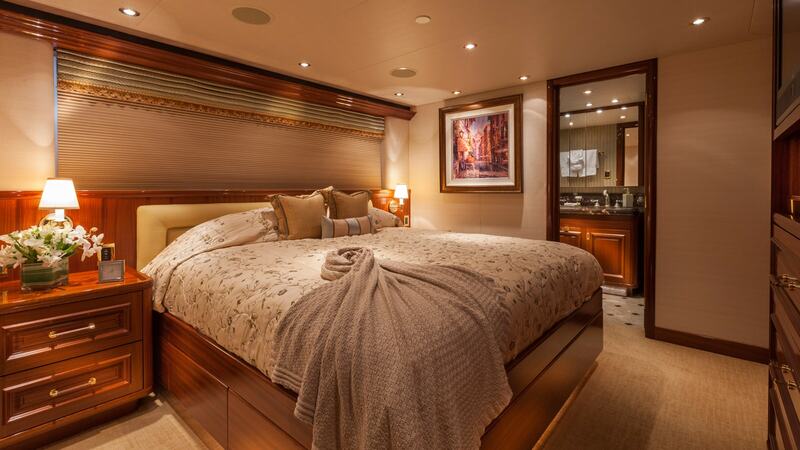 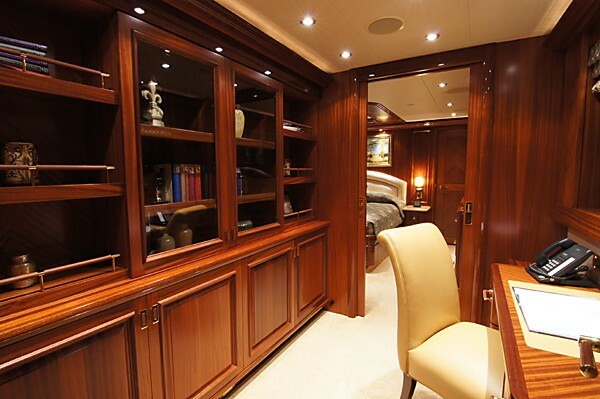 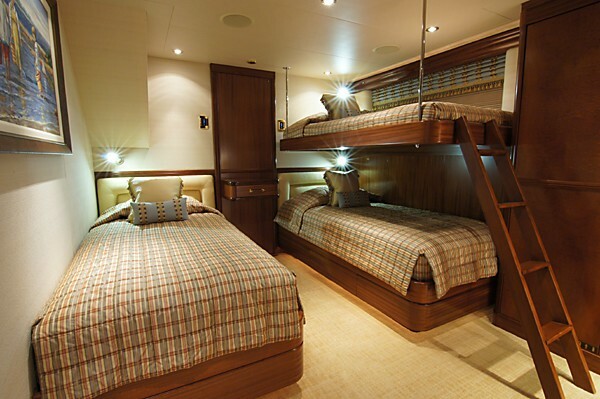 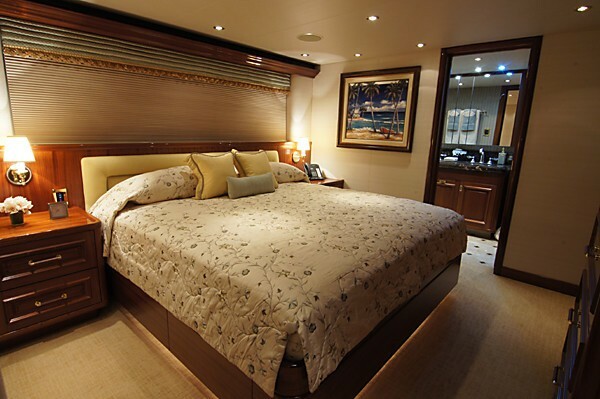 The second VIP Stateroom located to starboard Aft on the lower deck also has a centerline king-sized bed with two nightstands, dresser, closet and private head and shower. 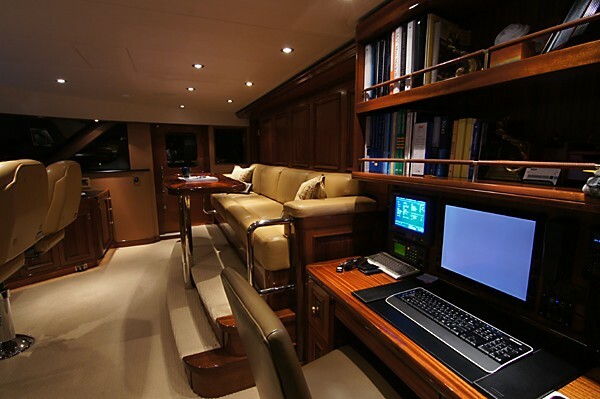 Entertainment centre with 32” HD TV with DVD/CD player. 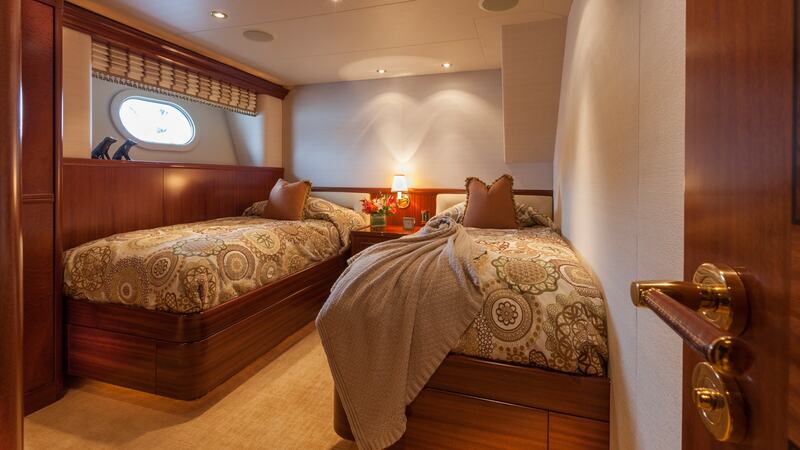 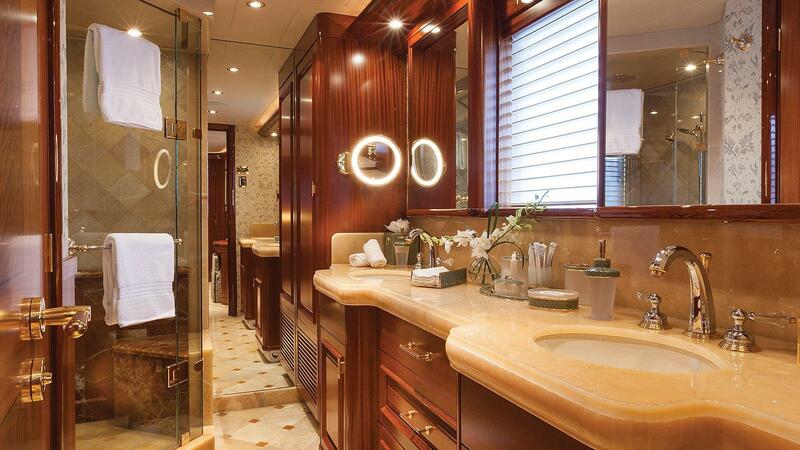 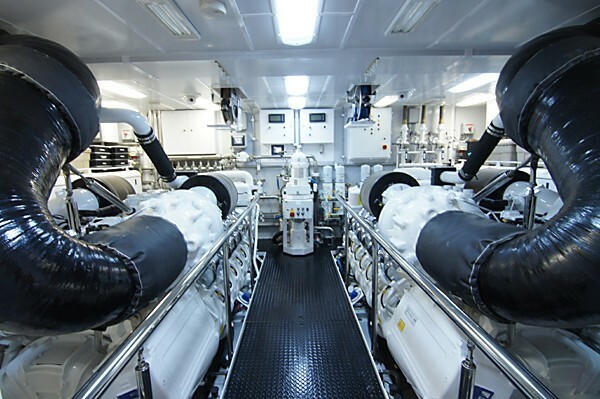 After the yachts refit in 2012, she now has two twin cabins. 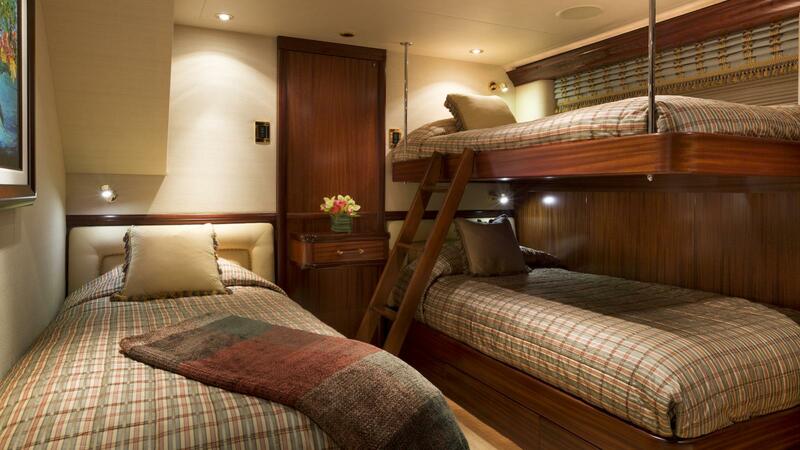 One of the twin cabins is located to starboard, and a Twin cabin with a Pullman bunk berth is to port. 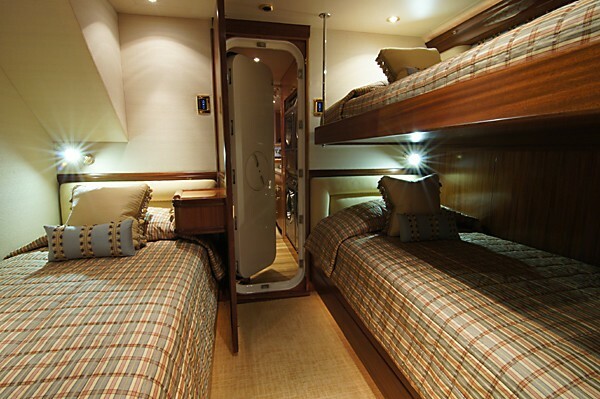 Both of these cabins have a dresser, closet and private head and shower plus an entertainment centre with 26” HD TV with DVD/CD player.